One of my favorite things about interior design is selecting gorgeous and complementary wall paint colors. This was my specialty when I worked at Five Star Interiors (local model home design company). I spent hours choosing the perfect paint colors to coordinate with the current color scheme and designed details to match. A frequent question that I get while consulting with my current clients is: “What are some good overall neutral paint colors?” I thought I would spend a little bit of time sharing some of my favorite neutral paint colors. I primarily use Sherwin-Williams paint colors because I have seen these colors time and time again and know that they are tried and true. Here goes! These are truly some of my favorite paint colors. I love that they are not too gray, while not being too golden/beige either. Balanced Beige is one that I recommend all the time and has been useful for clients who would like gray paint, but still need some warmth to coordinate with their space. I have seen these beauties on walls over and over and they never disappoint! They also pop out great next to white trim as shown in the interior below. *Balanced Beige SW 7037 or read my review here! Gray has been trending lately in design and I personally love it too! I have Lattice as my overall paint color in my home. I am very picky when it come to paint color, so this one is a keeper! Lattice is a perfect combination of gray with a hint of blue and it doesn’t feel too cold. Check out some of my other favorite grays here. I recommend these Coffee-Beige paint colors a ton. They are the perfect in-between; not too golden, not too gray/taupe. They really are a gorgeous coffee-like color, hence the name “Latte” for one of them. One of my amazing clients in Houston used these colors in her home. We used Nomadic Desert in the Kitchen and Kilim Beige became the all-over color in the rest of her home and it looks fabulous! *In case you are wondering, her Kitchen cabinets are painted Antique White SW 6119 and the island is painted Quietude SW 6212. These colors read more golden and are timeless as neutrals in homes with more of a warm scheme. I used Whole Wheat SW 6121 in a client’s home in Killeen and she was simply amazed at how much of a difference it made in her home! I really love how these colors can warm up a space and make it feel cozy and inviting. The Nutty-Beige Neutrals are less golden, but not taupe either. They almost have a tiny hint of green in them. I have used these in the past for many model homes and recommend them now to my clients. I love Macadamia and have used it before to create the perfect balance of a neutral that is not too warm, or cold, so to speak. Okay, I know it sounds contradictory to have “green” and “blue” neutrals, but I promise there are a few out there that read more as neutrals than accent colors. My same Houston client used Svelte Sage SW 6164 in her Media Room and Comfort Gray SW 6205 in her Master Bedroom and they turned out looking neutral, while still adding some subtle color. 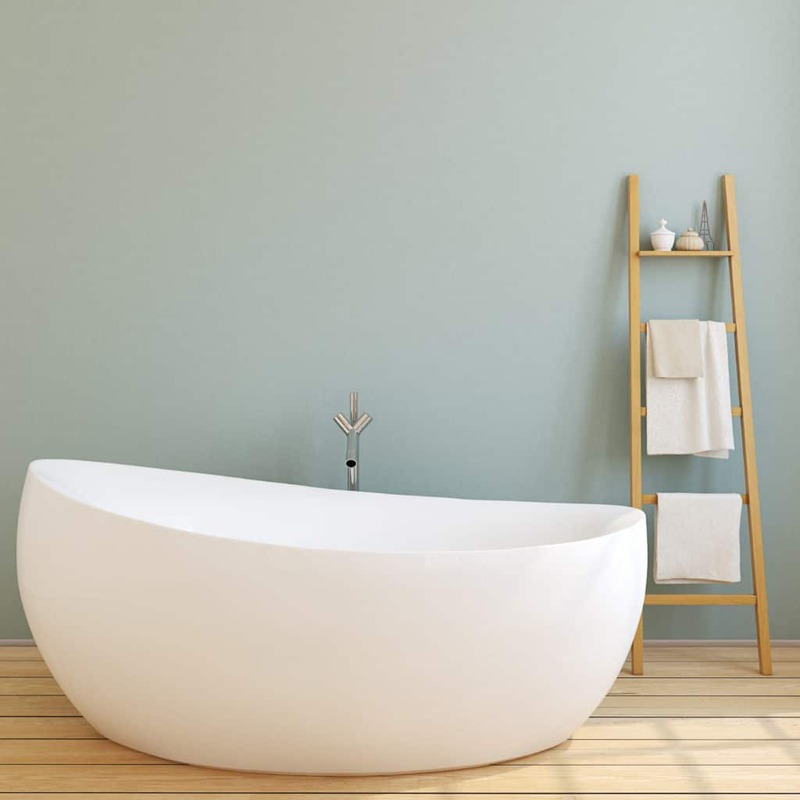 Sea Salt is another one of my favorites that looks gorgeous in bathrooms to create a “spa-like” feel. *Sea Salt SW 6204 or read my review here! I also frequently get asked about trim color, ceiling color and cabinet colors, so I wanted to share a few of my go-to whites and creams as well. The trim and celings in my own home are Extra White SW 7006 and it is a true white-white that is crisp and looks perfect next to my gray-blue walls. Don’t be afraid to paint your walls cream or white! Antique White is gorgeous on walls, and my personal favorite, Extra White gives any wall a bright and fresh look. For more thoughts on white walls, click here for my Paint it White post. I know that I only posted Sherwin-Williams paint colors, but you can match any color at your local Home Depot or Lowes. Don’t forget to look for Sherwin-Williams coupons in the paper. They have great sales and the people are very helpful. 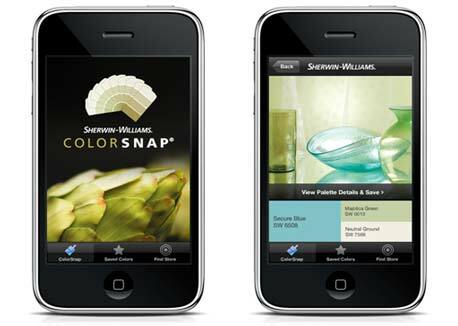 There is also a great app called “Color Snap” by Sherwin-Williams. You can take pictures of anything and it automatically matches paint colors and sets up a scheme for you. So fun to play around with! If you would like further paint help or design information specific to your home and your current scheme, fabrics, etc., please message me or go to my Color Consultation page to begin a Remote Paint Consultation. I would love to set up an appointment with you soon! While all of my suggestions are great tips, it pays to have a professional help you look at what you currently have and coordinate it all together. Try using the Nomadic Desert again in the Kitchen, and how about using a red color as an accent wall? Roycroft Copper Red SW 2839 is a great one that I’ve used before. It would complement the Carmel color nicely and reinforce the Tuscan theme. Good luck! I would continue the Kilim Beige through the hall if it touches the walls from the Family Room to keep it consistent. If you want some contrast and have a nice breaking point from the Family Room, then you could use Nomadic Desert. Not sure what you floor plan looks like, but I like to use the “overall color” (in your case, Kilim Beige) in most hallways. If you have a good opportunity for an accent wall, then the Roycroft Copper Red would work great! Hi! I can’t tell you how helpful this post was. Thank you!! 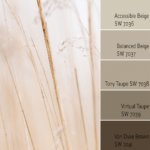 In my new house (being constructed) I am choosing the main wall color throughout the house to be SW Whole Wheat– your site really helped me get there as I knew I did not want “taupe” and you broke down the differences between those tans and beiges so beautifully. Anyway, the house is open concept….. kitchen open to dining open to family room. I have chosen Lagos Blue Caesarstone for the counters/island with a backsplash of handcrafted glass minibricks in various earthy tones (brown, copper, tan, cream, white, grey) with an iridescent finish. At the construction supply store when I pair these elements with an antique white cabinet, the result is fabulous. I know I don’t want a white white. I considered Dover White for cabs and trim, but think I may want to go creamier now that I have seen how pretty the antique white is. BUT… then do I do antique white on all the trim/doors, etc. in the house? Also I have a white farm sink in the kitchen, SS appliances. Oh, also I am planning on a medium walnuty colored oak floor. I would so appreciate your thoughts on the trim/cabinet dilemma. Ps. I will add that the house gets pretty decent light. 10″ ceilings, no vaults. Congrats on your new home! The finishes sound amazing and I love how you described the Kitchen backsplash tile. I wish I could see it in person! I agree that Antique White would work really well for the cabinets. Especially if you put it next to your backsplash tile and Caesarstone and loved the result. My advice is to match your cabinet color and your trim (all doors, window sills, baseboards, etc.). My client who has the Antique White cabinets, also painted all of her trim in the Antique White and it looks fabulous. She also painted her ceilings the same color. It looks crisp against the paint, but it’s also creamier than a white white, which sounds like what you want. I think that your white farmhouse sink will look fine with the Antique White cabinets. You don’t have to be super matchy-matchy with something like that, especially with appliances. Also, with your tall ceilings and your natural light, I think you will be very happy going with the Antique White as your cabinet and trim color (and your ceilings too, if you want). Thank you and good luck! I’m glad that the post was helpful for you! This post has been very helpful! Thanks for all the recommendations. I can not decide on a color for the life of me!! We have cherry wood cabinets and black granite in our kitchen. Any colors you recommend to go with those? Any tones to stay away from? I’m definitely wanting a nice neutral. What do ya think? Glad it was helpful! I am leaning towards Nomadic Desert or Whole Wheat. I think it depends if you prefer a warmer or more taupe look. Whole Wheat is more golden, so if you have more golden/warm tones in your home, that might be the way to go. With cherry cabinets and black granite countertops, there are a lot of options for neutrals. Get some paint samples and try them out in your space before you commit. Seeing the color in all lights is key! I am redoing our kitchen. We will have a gray/beige/black mixture granite counter top, white trim around the doors and ceiling, white cabinets, and a light beige and white tile. We really wanted to paint the ceilings this time around. We also have a tray ceiling to think about. We were looking at doing a medium beige wall with a blue ceiling to contrast the light floor and cabinets. What do you think of Nomadic Desert or Latte with either Denim, Sporty Blue, or Downpour? Any other suggestions other than beige and blue would be helpful. We thought a gray would look good to match the counter top but we didnt want it too boring or depressing. We are going away from the sky blue we have now. Thanks for your input! I like the thought of doing something different and painting your ceilings blue! I love Nomadic Desert as a neutral and it sounds like it will go well with all of your other selections. All of the blues you mentioned are pretty bright, so I would get some samples and see them in the lighting of your Kitchen first. If you are still thinking about doing a gray, my favorite is a actually kind of a blue-gray, called Lattice. I have it in my home as my all-over color and it doesn’t get too “cold” looking. It’s a gorgeous soft gray neutral and I’ve loved it so much. If you go that direction, I would keep the ceilings more neutral. Maybe you could do your ceilings in the Nomadic Desert instead! Kilim Beige sounds perfect if you are going for lighter and less golden. It will still be warm enough to coordinate with the Pecan paint. I say, go for it! Kilim Beige is one of my favorites. We are having our new home built. We loved the Kilimbeige and have chosen that for the wall color in all our rooms. We have a problem though. The ceilings!!!! I want to stick with it for the ceilings too. Our living and dining ceilings are over 9 ft. But the bedrooms aren’t. Will it make the house feel dark? Our floors are going to be a dark hardwood. We have plenty of light filtering in. I like the idea of a nice warm color for ceilings and walls with crisp white trim and crown moulding. Any suggestions? Hi! I personally prefer lighter or white ceilings, but if you want a warmer look against the crisp white trim, you could try to go one shade lighter than Kilim Beige for a little bit more contrast from the walls. Honestly, Kilim Beige is not dark and it really sounds like you have enough light for it to look good on your ceilings if you want that look. Like I mentioned, I tend to prefer going lighter on the ceilings, but I don’t really think you can go wrong either way! Currently the base color of our house is camelback with whole wheat on the ceiling. I would like to get rid of some of our accent colors in other rooms…ie. high tea in office, baguette in foyer, and some tone of burnt red in the kitchen. I really want to put in place a more neutral color palette that includes grays. Do you think I could accent cool tones with the camelback and whole wheat to give the whole house a new feel? Hi there! Camelback and Whole Wheat definitely have more of a golden/warm feel to them, so if you really want to go more gray, then you may want to start over with a base color that is more taupe or gray (see sections mentioned in post for paint color suggestions). That being said, I do think you can accent paint the Whole Wheat with cool colors, like a blue/green. Maybe try Quietude? Get a few samples and put them up next to your base colors to see how it will look. Have fun giving your house a little facelift! Hi Jennifer! I love Kilim Beige and would suggest getting a sample and seeing it in all lights/times of the day before you decide. Make sure you put it up next to your wood. I have never seen Kilim Beige turn pinkish, but putting a sample on the walls and testing it out will help you feel more comfortable. Since you have natural light and vaulted ceilings, I have a feeling that it will look really good. Good luck with the new construction and I’m glad that my post was helpful! I have whole wheat in my dinning room… what would you recommend for an accent wall color? I think it depends on your look! Do you prefer cool colors or warm colors? Also, do you have any other colors in your home that you are trying to accuentuate? Whole Wheat is definitley a warmer neutral, so I love it with a rich red. Roycroft Copper Red is one of my favorites. Please help! We are moving into a house with very large and angled ceilings. We need a paint color for all the living areas since all the walls run together. There will be white wainscoting but we are leaving all the stained wood trim. I thought about painting the ceilings just in the living room sea salt since the one color we pick to go throughout the whole house needs to be a neutral. What color would you pick to compliment the sea salt ceilings, stained wood trim, white wainscoting/fireplace and golden wood floors? One of my personal favorites is Kilim Beige for an all-over color. It also looks great against the Sea Salt, as I have used this combo with a design client before. Sounds like it would also look good with the white and the stained wood trim. As I always suggest, get a sample and see how it looks in all lights before making a final decision. Happy painting! Trying to decide between accessible and balanced beige for whole house color. Acoustic white will be trim and cabinets. Do you think balanced will be too dark, or accessible too light? Thoughts on deciding between two shades like this? Thanks. I would go for the Balanced Beige. If you have white trim and cabinets, it would be nice to pop them out with a tiny bit more color. Accesible Beige is gorgeous, but can be a little bit light in my opinion. Good luck with everything! I am thinking of using Kilim Beige SW for most of my house and would like to know what white trim color you would recommend with it. I think it depends on if you would like the trim to have a strong contrast or not. It also depends on what kind of whites you are drawn to or currently have in your home. I personally love a strong contrast and am usually drawn to a bright true white vs a creamy white. I used SW Extra White on all of my trim in my home (and my ceilings!) and love it. I had a client who liked the creamier white, so we opted for Antique White for all of her trim, caninets and ceilings. It turned out fabulous! She also used Kilim Beige as her overall color. I hope that helps! If you like more of a pop and tend to be drawn to brighter whites, go with Extra White. If you like the creamier whites, Antique White is a great one. Good luck! What a great blog! I have Macadamia throughout my house with dark wood work. I am looking for a nice gray/blue for a play room. Do you have any suggestions that would go with Macadamia? My personal favorite gray/blue is Lattice and I do think that it would look good with Macadamia. It is very soft though, so if you want a more saturated color, I also love Comfort Gray 6205. Comfort Gray can look more greenish-blue in certain lights, so definitely get a sample and check before you commit. Another one to try is Misty 6232. Again, get a few samples and see which one looks best in your lighting and go for it! Hello! Love this blog!! I have lots of wood trim in our house. The vaulted ceiling in the great room has dark wood tongue and groove, kitchen cabinets are dark stained alder as is all the baseboards and wood trim. The house is about 2,000 SF, 1.5 stories. We have a blank slate as far as paint. We are in Wyoming, lots of sunny cold days! I am thinking neutral and warm with a nice contrast off of the wood colors. I am looking at Steamed Milk, 7554 or Patience 7555 for the great room, not sure about the kitchen/laundry room. There is an open stairway leading to a landing that leads to 3 small guest bedrooms and a bath. I am thinking about Sea Salt 6204, Upward 6239 and Pediment 7634 in 3rd bedroom. I am lost as to what I should do in the bathroom and hallway?? Also, if you think I am nuts, please let me know!! I am color challenged! I love Steamed Milk! Looks so pretty and neutral and will pop out nice against all of the darker wood trim and cabinetry. Try Sea Salt for sure in your third bedroom. I love this color! I would repeat the Sea Salt again in the bathroom. It will make for a very “spa” feel. Go with Steamed Milk as your all-over color and keep it going into the hallway. I love the idea of keeping it neutral and clean against all of the wood trim. Good luck! I love your page… Painting my home over I took your advice after testing in my home and went with Kilim Beige and love it!! This is the color downstairs and going upstairs .. Thinking of Nomadic Desert on top floor for contrast..I am pulling my hair for my bedroom trying to stay neutral but cozier.. Thinking chocolate back wall and softer tan on adjacent three walls.. Could you please suggest bedroom colors that you love in neutral brown tan family!! Trying to tons down my home.. And would my Master bedroom to feel peaceful! Hi! I’m so glad that you like the Kilim Beige! It’s really one of my favorites. One of my favorite chocolate browns is Rookwood Dark Brown 2808. It’s not too dark, not too light and it’s very cozy. Try it on your headboard wall and keep the remaining walls lighter with a neutral like Softer Tan. I hope that helps! Good Morning we are building a home and I want to use SW 6142 Macadamia Beige can you help me with walls colors everywhere, My floors are dark walnut and cabinets are espresso? I am painting my entire house and (unfortunately) have honey oak trim everywhere. I like grays and golds and browns. I need help. I have open floor plan and need it all to flow. Try Softer Tan or Believable Buff as your overall (main) color and accent with Rookwood Dark Brown (chocolate brown). I think these would coordinate with your honey oak trim better than Whole Wheat (which was my first thought as a go-to). Also, a darker gray could look good with Softer Tan, like Warm Stone. Try a few out to see what you like in your home with the lighting, style, etc. Good luck! Thank you! That is the coolest app! What fun! I’m working with naturally stained mesquite that is a bit reddish and stained concrete floors in shades of gray and a little bit of mixed golden browns. Kinda granite-y. Having a hard time deciding on a color that is warm, but not too yellow. I’m coming from a lifetime of predominately white walls. Kelly Moore White Hot Chocolate is my daughters pick, but I still feel it’s a bit yellow. Hi Deb! Hmm…try Macadamia. Whole Wheat is warm, but may be more yellow-y than you are looking for. Grab a sample of Macadamia and see how it looks in your lighting. The natural mesquite sounds so pretty! Let me know how it all works out! I love your blog, very hlepful. The picture that is abve the Gray and Blue-Grays sub title, what color is the walls. I stumbled across your blog and found it very helpful. I am planning to get the house painted and it’s pretty much a clean slate. We tend to like Green/Blue/Gray shades so have tried to avoid beige as the main neutral color. I have gone to SW store and have tried at least two dozen paint samples by now. I am getting close to final selection but could use some advice. First the layout – The entrance is into a two storey foyer with living room the left and formal dining to the right. The foyer then leads to the two story family room so Foyer is connected to the family room (in terms of continuity). There is a study on the left of the family room and open kitchen and morning room to the right of it. Study – Light French Grey SW0055 or Heart of Palms SW6415. My biggest issue is to finalize the color for Living and dining room given that I have Foyer in the middle with Sea Salt color. So, I need to make sure that it flows with Sea Salt and also looks fine as living / dining combination. Do you have any advice on these or other colors? I am open to any suggestion you might have. I have tried at least a dozen colors and now I am losing my mind! 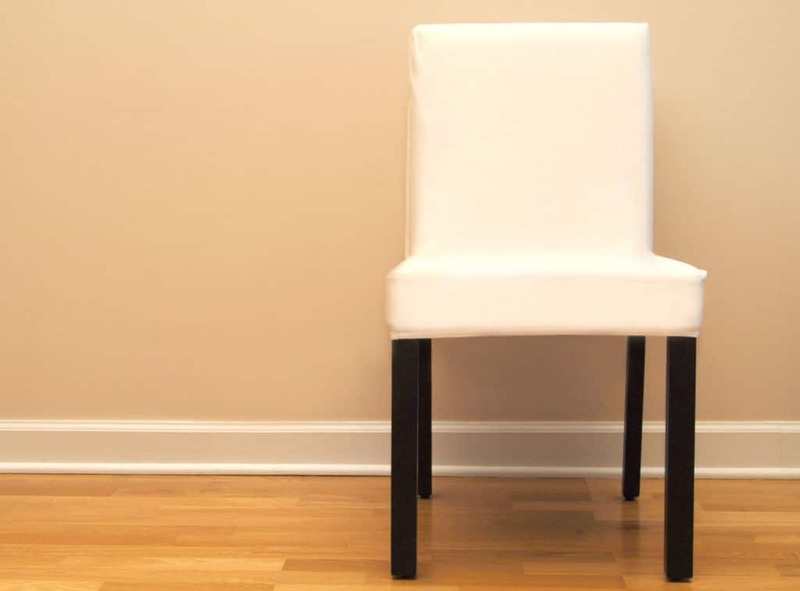 BTW, in dining the part below the chair rail will stay white (if that helps). Additionally, for study, I like both colors – grey is soft / neutral while Heart of Plams is warmer. I would really appreciate if you could make some suggestions. Go with Hearts of Palm for the Study…I love that color! For the Living Room, what if you used Collonade Gray again or the Sea Salt? I personally love the gray, green and blue color combo together! Grab some samples and test some of these out. I feel like adding the Collonade Gray would help break up some of the strong greens and soft blues. I hope it all turns out well! I am looking for a color for the main areas of our house. I would like it to be a light, warm (not cool) neutral. Kilm beige takes on a pink tint in the lighting in our house. I’d like to stay away from the pink undertones. Trim is definitely white/white! Cabinets are 7011 Natural Choice. I plan to paint the kitchen 6176/7 Liveable or softened Green. Any suggestions? Thank you!!! Hi Perry! Try Macadamia. I love this paint color and it sounds like it will accomplish the warm neutral look that you are going for. It will definitely look good with the white trim and cabinets. Try it next to the Liveable and Softened Green with a paint sample in your lighting. Good luck! I’m so excited I discovered this blog! We are new homeowners and we’re having a hard time choosing colors. The previous owner had the ceilings painted the same color as the walls and they are all very “drab”, darker tones. They are darker browns and the kitchen is a gray/green. We will paint our entire kitchen, and also our L-shaped living/dining room. This is a very large room and the most visited in the house. Also, we are painting our entry and hallway. All of these rooms can be seen from the other rooms. We want to freshen up the place, as we have east and north facing windows. Also, our winters in Idaho get very drab. We tried some colors with yellow because we thought they are cheery but oh my! They were too glaring (Lily for main room, and Midday in kitchen). I am new to this, and would love any advice! We love light, warm, neutrals. I can’t wait to peruse this website more! I should add that we will be painting our trim, ceiling, and cabinets one color… a warmer white? Yellow can be so bright and cheery if the color tone is right. If you want to go this direction, my personal favorite neutral yellows are Compatible Cream and Jersey Cream. If I had to pick one, it would be Jersey Cream. I’ve seen this as an overall paint color in homes before and it is so fresh and bright! I would suggest a crisp true white for the ceilings, cabinets and trim, such as Extra White. Dover White is another good white choice. If you want to go with more a beige neutral, then try Whole Wheat. This color has more beige in it, but comes across very warm and cozy. Get a few samples of each and try them out to see them in all lights and times of the day. I hope things go well! I have decided to use the color Sea Salt as the main wall color in my house but I am having a hard time choosing a good trim color to go with it. Can you help with this? Thanks! I love Sea Salt. Good choice! I think it depends on what other “whites” you have going on in the house. Such as, if you have a white sofa or fabrics with white in the background versus more fabrics with a creamy or antique white look. I have seen Antique White as a great trim color with Sea Salt. Antique White is more creamy than a brighter white though, and does’t pop out as much. I personally love Extra White and have it on all my trim in my home. It would pop out great against the Sea Salt and give a fresh and clean look. Get a couple of samples and test out on your trim if you aren’t sure. Your home sounds beautiful. I have a few suggestions to try for a warm taupe/beige: Kilim Beige or Balanced Beige. I’m leaning towards Balanced Beige for you since you have the Coventry Gray Dining Room. 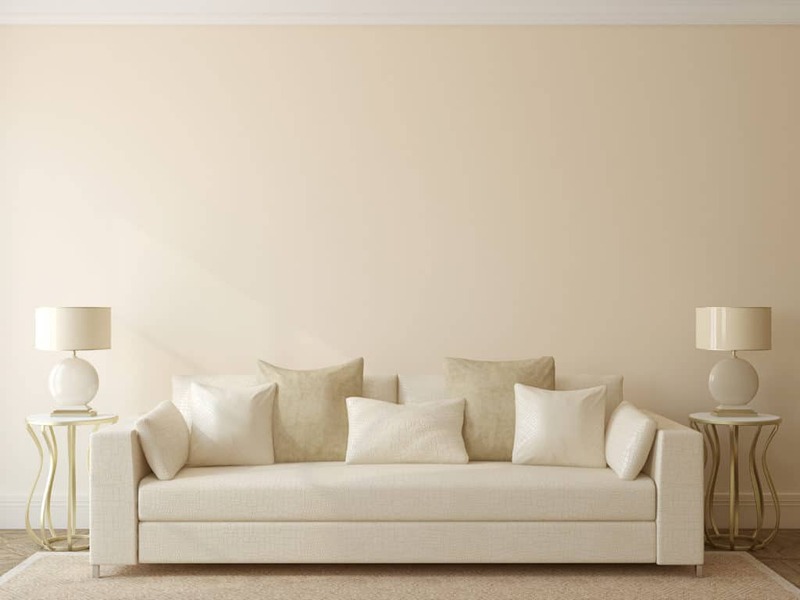 Balanced Beige is a great warm taupe, but doesn’t come across yellow or green looking. As always, definitely get a sample and check it out in all lights/times of the day, but I’ve seen it over and over and have never seen it look bad. It looks great with soft blue-grays. Try Comfort Gray for an accent color! Balanced Beige (and Comfort Gray) will also pop out nicely against the white trim. I hope it all comes together for you soon! I really need your help. I went against my husbands wishes to remodeled my kitchen. I really thought he would like it once he saw it completed. He doesn’t and I can’t blame him because I don’t like it either. I think it may be the paint, but not sure. I chose granite on my counters and color is “brownie”. The back splash is the Noche Travertine. The travertine isn’t colored, but I haven’t sealed it yet. I painted the cabinets Latte 6108, the walls Kilmer Beige 6106 and the trim Divine White 6105. My walls look kinda green and the trim looks pink. I tried 4 different light bulbs to see if this would help it, but it has no effect. Can you help me. I would start with toning down all of the browns with a lighter color for your cabinets to give a nice contrast against the countertops and backsplash. Try Antique White for a trim color and cabinet color. Having the cabinets lighter will make a world of difference! Try Whole Wheat or Macadamia for a wall color. Get some samples first and test these out with your lighting to make sure they don’t take on a different look. I hope this helps! I am having great difficulty picking a wall color for my new kitchen. Cabinets are cherry nutmeg, floor is oak hardwood, and countertop is PentalQuartz Riverbank, which is a mix of light and dark taupe colors. The colors I”m thinking of now are: SW Agreeable Gray, SW Alpaca, and BM Accessible Beige. Just going off what you described from your kitchen selections, I am leaning towards the Accessible Beige family. I actually think Accessible Beige can be a little on the light side, so try a sample of Balanced Beige (next color darker on the paint swatch). I like this neutral color family because it comes out looking a little more gray than a golden-beige, but taupe enough that it sounds like it will go well with oak and your mix of dark taupe colors on your countertops. Alpaca is pretty too. I have not seen this on walls like I have the Balanced Beige, but try a sample of each and see what looks best next to your cabinets and countertop. It is also wise to get a sample to see how the paint looks in all lights of day in your home. Another one to try is Latte. It is more beige than gray, but is a great neutral and one of my favorites. Thank you for such an informative post! I am considering using SW Lattice for my overall wall color. Can you suggest a darker paint color for the kitchen cabinets that would be a good match for the Lattice? Also, I want to use SW Extra White for the trim, and I was wondering if you think the ceiling should be the trim color or the wall color (SW Lattice). Thank you so much for your help! I love Lattice! Almost every room in my home is painted that color and I’ve never gotten tired of it. It looks so good matched up with Extra White for the trim (which is what I have)! To answer your question, I personally like white ceilings. I have Extra White as my trim and ceiling and I love how it looks. Try these out by grabbing some samples and putting them next to the Lattice to see what you think and what goes best with your color palette. Also, consider your interior selections (like your flooring, countertop, etc.). Let me know if I can help out with anything else! Hi I am painting my wood floors can’t decide between Macadamia and Basket Beige. It’s a upstairs bedroom with not much light. My walls are Moderate White which gives off slight brown. I’m feeling as if the Macadamia is not enough contrast. I also plan on painting accent wall behind my bed Vesper Violet. I want my room to feel restful. Help please! I agree that Macadamia isn’t really enough contrast against the Moderate White walls. If you plan on keeping the Moderate White, I would go with the Basket Beige floors. I like Vesper Violet and it’s definitely a cool-tone so it will feel restful. Another thought for creating a restful/peaceful space is using a soft blue-gray on all walls. Especially since the room doesn’t have a ton of natural light, this will help open the space up with the soft cool tone on all of the walls. My all-time favorite blue-gray is Lattice. Another good spa-blue color is Sea Salt. Maybe you could get a few samples and play around with some options. I think it depends on your color scheme. Sometimes its nice to spice up the Dining Room and/or Living Room by painting it a fun color. If you like cooler colors, Sea Salt looks great next to Kilim Beige. I hope this helps! I have to choose between kilim beige and balanced beige for my new home being constructed. Most things in my home are blues, greens, greys, white and off-whites (creams). Cabinets will be a dark brown and countertops will be that popular goldish granite. Which do you think would look best? I would definitely get samples of both and see how they look against your cabinets and countertops. I’m thinking that Kilim Beige would look best against your goldish granite, but I like Balanced Beige more with the blues, greens, grays and white/off-white colors that you mentioned. Balanced Beige will look especially better with the grays, since it has more of a gray tone to it than Kilim Beige, which has more brown in it. If you can, get a small sample of both and paint a big piece of cardboard with the two colors. Preferably, prime it a white color to prevent color discrepancies. Hold it up to the cabinets and countertops (or a sample of them if that’s all you have) and then hold it up to some of your current fabrics, accessories, etc. to see which one blends the best with both. Really both colors are beautiful and you can’t go wrong! I feel like it is more a matter of what goes best with your selections and current “can’t live without” home items. Hi Laura thanks for your reply. I went with softer white for my floors. I really wanted the vesper violet to be the main feature in the room as it is a feng shui adjustment for my bedroom. The room looks great, thanks again. Sounds beautiful! I’m so glad! Hi there. I currently have sherwin williams latte and portobello in my living area and connected dining area. However, it’s a little too dark for me as they are not large rooms. I’d like to brighten the walls, but stay neutral… and also bring in some blues/gray accents. I have a beige sectional. Any thoughts about what base color should be (accessible or balanced beige or kilim beige are the ones I’m eyeing) and then also, an accent color on the wall that separates the two rooms? I was looking at SW Breezy for the accent wall, as it’s a blue gray, but I want whatever color it is to pop next to the base color? Any other thoughts about an accent wall that leans to a blue-gray that will pop against one of the beiges/greiges, but is not extreme in either direction. I don’t like greens. I want the base color to not be too dark, but not super light either. Thoughts? I love Balanced Beige and think that it’s perfect because it’s not too light, but not too dark. It sounds like it will go well in your home. One of my favorite Gray-Blues next to Balanced Beige is Oyster Bay. It’s not extreme, but pops out against the Balanced Beige nicely. As always, grab a sample of each and test out with the lights in your space before taking the plunge, but I have seen these two colors together time and time again and they always look great. Good luck! Hi, love this blog. It is so helpful. I just bought a new build spec home. It’s beautiful but everything is kilim beige SW. I lean more towards cool colors but we don’t want to re-paint the entire house. I lobe grays and purples. Our furniture is cream and dark brown leather and master is dark wood with purples for bedding etc. any suggestions for accent colors on a wall here and there to keep it more neutral and add some cool tones. I pro banal would have chose accessible beige if it we had bought before the paint went up. Thanks so much! Try Svelte Sage for a nice cool color next to Kilim Beige. I also like Comfort Gray and Oyster Bay for neutral blue accent walls. 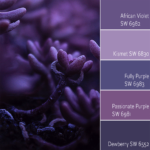 For your purple room, try Proper Gray, it’s gray but with a purpleish undertone. Grab some samples and see how everything looks in your lighting! I have seen Svelte Sage and Comfort Gray/Oyster Bay next to Kilim Beige and it looks great! Have fun! I am wanting to repaint our home, along with out kitchen cabinets. We have an open floor plan where kitchen, dining and family room are all one open space. My intention is to do white cabinets, and then on the bar ( part where the chairs go and visible from the family room) do a different color- maybe a darker color, or even a light blue. My concern is my counter tops are white, black, little hint of pink granite. I don’t want to do gray paint, but am concerned that tan will look awful with the grey/black/white counter. Am I just stuck in an old mind-set? Can I do tan? I want a beachy, bright feel, and all of the furniture we have now are warm beige/tan tones. I have always felt that grays are not as versatile as tan. We are building our new home and plan to use Kilim Beige as the overall color. We have dark wood cabinets and I was thinking of having our kitchen be a different color than the other walls but still want something that will mesh well with Kilim. We were thinking about Latte. What is your opinion? Do you have any other suggestions? Again, our cabinets are dark but the counter tops and flooring light. Latte would look great considering it’s in the same color family as Kilim Beige. If you are up for some color and something different check out Svelte Sage. It looks great next to Kilim Beige and is a beautiful soft gray-green neutral. All the best to you! Thank you so much for your awesome post! What undertone does SW Mega Greige have? Would Mega Greige flow with Sea Salt? I’m thinking of painting our living room in Mega Greige and sitting room in Sea Salt. Mega Greige has a gray/taupe undertone and looks great next to Sea Salt. I say go for it! They compliment each other very well. All the best! Hi. I am looking for a warm neural in my kitchen. My cabinets are cream with a yellowish undertone so it seems to turn everything beige, pink!!! Help! Have you tried Nomadic Desert? I think it depends on your lighting, but I have seen it look amazing next to creamy cabinets that have a yellowish undertone. Also, try Macadamia. It has a bit of green to it that will balance it out so that it doesn’t look pink next to your cabinets. Again, paint colors are largely affected by lighting, so get a few samples and try them out first. You may also consider going more taupe with something like Tony Taupe or even a gray like Anew Gray. These are cooler neutrals, but you can try them if you are up for something different! All the best to you! Hello, I really need your help, I have been going crazy for 2 months trying to find a paint color that with coordinate with my new kitchen counter (Cambria Berkeley) and backsplash (Bliss Cabernet Linear Mosaic ) cabinets are dark, the kitchen is open to the dinning, open to the family room, do not know which color(s) to use in these areas. My family room furniture is Kylee-Goldenrod from AShley Furniture, which is yellow and the pillows and accent chair are flowers – different colors. Please help!!! It sounds like you have a warmer color scheme. If you are looking for a neutral color, then try Whole Wheat SW6121. It looks great with warmer color schemes, but also isn’t too golden. For something different, try Svelte Sage SW6164. It’s a beautiful soft gray-green color that would look amazing with your backsplash since there is some green in it. Grab some samples and see what looks the best! All the best to you! I am having such a hard time with color. We have reddish-brown pavers that somehow look green if we put anything up against them with red tones. We have a light gray tile roof (looks just like an old fashioned slate roof) that can look green with the wrong hues against it. We went with “Tuscan gold” rocks in the front yard because all other rocks made the pavers a horrible green. The builder painted the exterior a beige with yellow-green undertones, which looks like baby poo when the light is just right (or just wrong, as it were). I think a dark Tuscan cream with warm yellow undertones would look good with the gray roof, but I am afraid of any orangy-red undertones making the pavers look green, and I hate bright yellows. We also have lots of outdoor space that is either connected by windows or surrounded by glass and even 19 feet of telescoping doors. So, we need the interior to either be painted the same color or a complementary color. My favorite colors for the interior so far are Lattice, Agreeable Gray, and Collonade Gray. We have a beautiful gray and beige tile that will go with anything, and we haven’t picked out hardwood floors just yet (looking at those now, too). Try Ivoire for the exterior color. It isn’t too bright yellow, but is definitely Tuscan cream, like you mentioned you wanted. I do think it will work well with the gray roof. I also love the colors you mentioned for the interiors and I think it will flow perfect from the exterior gray roof and the ivory/cream color. I hope this helps! I live in a house with stained woodwork (would prefer painted, but can’t afford to switch all to painted). Could you suggest some warm paints to go with wood? I’ve discovered by trial and error that warm golds do not work in this house. Thanks for any guidance. Whole Wheat is a great warm neutral that looks good with stained wood, but doesn’t come across too golden. Also, try Macadamia. It’s a little bit of a “nuttier” color, but still warm. I hope this helps some! I have stained woodwork and don’t want to paint all of it. All doorways are in the stained woodwork. How do I transition from painted trim to stained? Also, I have stained wooden windows with wooden trim and beautiful wooden doors. Do I have to paint all woodwork and doors or can I just paint baseboards? That’s a tricky question! I think you can pull off not painting all of the wood trim if you are strategic. One thought is to paint the trim around the doors and the baseboards, but leave the wood doors stained. I also think you could leave the window trim and just paint the baseboards. I would search for good visual pictures of homes that have pulled off both stained and painted trim for guidance. That will help give you a visual and you can decide what look works best for you. Good luck! Thanks for the great information in this post! I have a color question for you. My house is very open and the family room and kitchen run into one another. My family room is painted in Basket Beige and I am debating whether or not to do the kitchen in the same color. The cabinets are maple. Any suggestions? Thanks so much! If your cabinets are maple, Basket Beige might be a bit too dark next to them and not create enough of a contrast. It depends on your lighting, though. If you have tons of great light, it might work. Try Macadamia (a shade lighter than Basket Beige) to see if it creates more contrast and consider painting your family room the same color if the two rooms run into each other. Or use Basket Beige as an accent wall in one or both of the rooms and use Macadamia as the main color to connect the two rooms. I hope this helps! I love this post!! Our entire house is currently Kilim Beige but we are thinking of changing to Nomadic Desert for all the walls and leaving the ceiling Kilim Beige. Are any of the other colors you mentioned workable with Kilim Beige as the ceiling? Thank you! I’m glad the post has been helpful! Kilim Beige could definitely work for the ceiling and several other blue and green neutrals look great next to Kilim Beige. Try Svelte Sage and/or Comfort Gray/Oyster Gray for accent walls if you want to paint the majority of the house Nomadic Desert. I hope this helps! 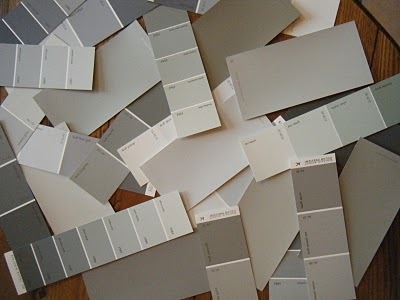 I am trying to choose a neutral color for a lake townhouse that we have. The great room, dining room & kitchen are all within view of one another. Our great room has blue & cream furniture. One chair has grays, navy, turquoise & cream in it. We have avocado green leather chairs in our dining room. Can you suggest a neutral color that would work well with this color scheme. I am not not a fan of beige walls. I will be painting our master bedroom either sea salt or comfort gray which would be in view from common areas, so whatever main wall colors are needs to flow or look good next to that room color. Thanks for any assistance you can give. I also want to stay away from pink or golden undertones in the main living area paint colors. Your lake townhouse sounds beautiful! I personally love Balanced Beige as a great neutral taupe-gray color. From the color scheme you described, it sounds like it will go really well! I know it has “beige” in the name, but I promise that it doesn’t come across golden or too beige to me. If you want to go more gray, which will go really well with your color scheme (and Sea Salt/Comfort Gray), try Anew Gray. Grab some samples and test them out in all lights of day and see which looks best! Good luck! Also, what color gray paint is on the walls in the Martha O’Hara photograph you posted here? Is that lattice? Another piece of information about our lakehome is that you can see the lake from thr windows from the great room and the dining room, so not sure if that should effect our wallcolor paint choices. I believe it is Collonade Gray! My builder is offering Navajo white … can this color look yellow? Hi there! I have not personally seen Navajo White painted on walls, but from what I see in the paint deck it looks like it can definitely come off yellow. Hope this helps! Hi there! We are building a new home and I am trying to finalize wall & trim/kitchen cabinet colors. The builders design consultant suggested we use Eider white & pure white for a slight gray look, but after buying a sample of Eider White it looks quite pink/lavender to me and doesn’t match the paint sample card. Now I’m trying to find a new shade that’s a light gray, not too cool and not pink, a nice neutral. I have to stick to the first row on the Sherwin Williams deck. So far, I’ve sampled Heron Plume (touch too golden), Site white & Nebulous White (too blue) and Incredible White (too pink). We don’t get a whole lot of natural light btw. I plan on buying samples of Snowfall & Nuance next week. Do you have any suggestions? Also, what are your thoughts on Pure White vs Extra White trim & cabinets. I want a white kitchen but I’m not sure what color will look best with “Carrara” Quartz countertops and white subway tile backsplash w light gray grout. The wood floors throughout have a slight orange undertone. As far as the trim and kitchen cabinets go, if you are looking for a true white to go with Carrara Quartz and white subway tile backsplash, then I highly suggest Extra White. I personally have Extra White for my trim and cabinets and it looks spectacular! For the walls, you are going with a soft gray? Is there any way you can go one shade darker on the paint deck so you can have a bit more contrast against the white trim/cabinets? I would try Agreeable Gray. It’s a gorgeous soft gray and it would look beautiful next to Extra White. Incrdible Gray is the lighter shade, but again I really feel like you need a bit more color to contrast with the white. Hi! Just re-read your post and saw that you already tried Incredible White. If you can, try the shade darker to see if it makes a difference. Also, try Aesthetic White. It’s a beautiful neutral, not too cold or warm. Let me know! I’m curious to see what works out. I’ve been having a major problem trying to figure out why the eider white paint sample (quart size) looks like it has awful pink undertones on the wall. All the pictures I’ve found online of other people’s finished rooms don’t look pinkish at all! I finally figured it out after talking to a very helpful guy at SW. They don’t use the same colors in the quart size as the gallon size. In the sample, the maroon it’s supposed to have is substituted with magenta. The sample is made with black, brown and a few drops of magenta (the smallest quantity of magenta that the machine can dispense). The gallons contain black, brown and a few drops of maroon–in the same quantity used in the quart size! So that means that you are getting 4x the concentration of magenta in the quart size. No wonder my sample looks pink! UGH. Talking to SW customer service, they said the sample quarts of their whites (eider white is a warm light gray, but they consider it a white) aren’t very reliable for accuracy. So I’ve wasted the last few weeks and lots of $ buying way too many paint samples. If I knew all this before, I would have just gone with Benjamin Moore, which gives reliable paint samples and in smaller quantities! I have a lot of paint to throw away now. Ultimately, I will probably go with eider white knowing that it won’t have pink in it! (I’m using Pure white on the trim, Eider on the walls.) Hope this helps someone; I see you posted a while ago. Help! I need an off white for my family room walls. Dark cherry floors. lots of windows on one wall, but it is a covered porch. That wall with all of the windows faces south. I have cream cabinets with a coffee glaze. The woodwork is pure white. The kitchen and family room open up to each other. I have grassland on the walls now. Loved it but I am tired of it, and it also makes the room very dark. I have cream couches and I want to accent with grey. I painted Lt french grey on the kitchen walls and love it although it pulls a little blue. I want that coastal look, a sophisticated coastal look. I don’t want anything to pull yellow at all. It is way too large of a room to have to paint more than once. I want a blank canvas to put my coastal photos. I would like a contrast between woodwork and walls. Hi! I need a neutral color for the main areas of my home. The foyer is two story and goes all the way to the back of the house where you see the family room which is also two story. There is no break in the wall so the foyer and family room and going up the stairs and hallways will all have to be the same color. My hardwood is orange and my kitchen cabinets are orange toned as well which I dislike. I’ve tried so many colors already. SW Row House Tan looks alright on some walls but horrible on others and turns peachy. I don’t like brown earthy looking colors or orange. I tried Nomadic desert and I could see pink. I painted the kitchen Comfort Gray which made it so I can live with all the warm orange wood tones. I love Comfort Gray. Do you have any suggestions for a color for the family room and foyer? I’ve considered Comfort Gray all over but I worry it will be too much blue with such tall walls and a wide open area? My trim is bright extra white. Thanks! I would try Balanced Beige. It looks amazing with Comfort Gray and it will look neutral next to all of the orange-toned wood that you have, as well as pop out against the bright white trim. It is seriously one of my favorite paint colors of all time. Grab a sample and see how it looks in your lighting. Thanks! I actually have balanced beige in my bathroom and really like it in there but the lighting is totally different. I took a poster board painted balanced beige into my main areas that get tons of natural light and it looks gray. Or maybe that’s because it’s surrounded by gold beige? I’m stumped as to what to try next. Loving all the posts. Trying to figure put a paint color for master bedroom master bath and foyer that is right off. I have a ton of samples on the wall. Not loving really any. Master bedroom has cherry furniture and medium color laminate. Master bath is travertine with medium colored maple cabinets with a black rub on the accents. I have up Whole wheat , Believable buff- too close of what I already have, latte -too dark, nomadic desert – too dark, Kilm beige – too light, macadamia – blah, universal khaki – too green. Then I tried. Sea salt and misty and the colors really don’t go with everything else. I am very stumped. I feel like I have every sample from SW. Picking paint can be so tricky! It really depends on so many factors, one of the biggest being lighting. I totally understand your frustration! Based on what you told me, I would try Balanced Beige. It’s a perfect neutral that sounds like it might be what you are looking for. It will also look good with the wood tones. Let me know if that color works out for you. Best of luck! We are getting oak hardwood floors in gunstock installed in our living room/dining room. What neutral color (tan/beige) paint would you suggest for the walls? I was originally going to do Navajo white, but would like to go maybe a shade or so darker. Thanks in advance. The floors sound beautiful! Try Believable Buff or Kilim Beige for a nice tan/beige neutral. I agree that going a shade darker than Navajo White is the way to go. Definitely get some samples of each and try them out in your lighting. Believable Buff is a bit warmer/golden and Kilim Beige feels a bit more tan/coffee colored. Let me know if either one works out! You are so kind to offer so many commenters advisory and suggestions! I made the cardinal mistake of painting my condo a gray that I LOVED on swatch and a picture (Pewter Cast) before testing it and I just can’t live with it. 🙁 I had SW to lighten it a shade because I don’t get a lot of natural light but it’s still too… Stark, dark and jailish for my liking. At first I was getting purple from it but then changed my lamp light bulbs from a soft white to a natural light (crisper white) bulb and while the walls do now look gray, they are again giving me stark, dark and jail! I’m so sad! I’ve determined that I need a lighter neutral “gray” that does well in a small space with poor natural light. I’d like one with warmer undertones or no undertones because I don’t think I’m a fan of blue or purple… Green or brown undertones I can live with. Also in my bedroom, I did an accent wall in Turkish coffee and the rest of the room in Versatile Gray… I’m getting maroon from the Turkish coffee and a pale pink from the Versatile Gray. I was going for dark brown and a complimentary gray tan. 🙁 Any help and advice you can offer would be greatly appreciated! Hmm…try Balanced Beige. It’s a great neutral that isn’t too gray or too golden. It’s still warm without feeling too gray. It’s one of my favorites! Best wishes! So excited to find this blog. I’ve been looking for a new color for the kitchen, family room and foyer. Our kitchen cabinets are antiqued white and the trim is a white rice color. The current color is SW Lion’s Mane….a deep golden yellow. We are wanting to lighten the kitchen, living room and foyer as these rooms don’t get a lot of natural light and tend to look too dark in the evening. We are looking for a nice neutral that will go well with art work in black frames. Thank you so much for your suggestions. If you like the warmer neutrals, then try Whole Wheat. It will look great next to Antique White and it will still allow the black frames from your art to pop! It’s also not too dark and sounds like it will go well in your space. I hope this helps! I’m excited to see your blog! It’s been so informative. I am in the process of changing white carpet to dark hardwoods, in turn, lightening up the current main color Bagel to Kilim Beige. My Kitchen is a sage green (came with the house) and has Imperial Gold granite and cherry cabinets (which are about to be painted General Finishes, Linen) the flooring is beige ceramic tile. I love the picture under the Creams and Whites but wonder if a creamy white might be too stark in a kitchen. I was thinking of using the same color in the kitchen and in the spare bedroom (it’s still Bagel) which is at the other end of the Kilim Beige main room and hall. I would love to know what your suggestion would be for a new paint color or colors? Thank you for your suggestions, your knowledge and gift with color is remarkable! Hi Jen! Thank you! I love white in a Kitchen to make it crisp and clean, but if you would like a bit of contrast against the cabinets that you are painting a creamy color, then I might try Nomadic Desert SW 6107. It’s one shade darker than Kilim Beige and looks really nice against creamy cabinets (see picture above of Houston kitchen). If you want more color vs just a neutral, try a blue/gray color like Comfort Gray SW 6205. It looks great against the creamy and also complements the Kilim Beige. Best wishes! Hi Jane! You do have a lot of choices and many that you can’t really go wrong with. If you are truly looking for a clean, crisp look against all of your dark cherrywood, a creamy white color would look great. I love Antique White or Creamy as some options. I also love Svelte Sage as a green/gray color that would also look great next to your cherrywood. A great tan color is Believable Buff or Softer Tan. Grab samples and try these out. Also, don’t be afraid to mix them up and use a combo of all of them! They would all complement each other and go well with your style. Best of luck! Hi, I have timberlake maple spice cabinets with a mocha glaze. I was thinking about painting the walls front porch but the kitchen runs into the family room and I did not want my family room walls blue. I was looking for a coordinating paint color for my family room, I will be using a mix of grey blues and greens as pillows etc. We’ve moved to a home with red oak floors stained light provincial (light warm brown). I’ve tried multiple SW paint samples for my living/dining area with no luck (too pink, too green, too fleshy etc). My furnishings are “vintage/farmhouse” and also mostly warm tone/antique cherry. What is a good wall color for this space that could complement the adjoining open kitchen, with neutral brown floor tile, black and brown granite counter tops and cabinets I plan to paint white (they are unattractive honey oak). PLEASE share your suggestions! Hi! My first thought is to try Believable Buff. It’s a great warm neutral and it sounds like it will go well with your style and your wood color. One more warm neutral to try is Kilim Beige or Softer Tan. If you want to go with something with a bit of color, try Svelte Sage. It’s a great gray/green color that would look really good next to your red oak stained floors. Definitely grab some samples and try these out with your lighting. Best of luck! Hi Katherine! I love Lattice and have it in most of my home. I do think it would look good next to Softer Tan. Also, try Aloof Gray if you want to go a bit darker with a blue/gray. Front Porch might also be a good option. It’s a bit darker than Lattice, but still a gray/blue color. Thanks! Hi Erin! I love Front Porch…good choice! What if you tried a gray color to coordinate with the Front Porch color and Antique White cabinets? Depending on how dark you want to go (like for an accent wall color), I really love Anew Gray, Mega Greige or Warm Stone. They are all on the same color strip and are beautiful grays that would coordinate especially well with the Front Porch color. Best of luck to you and congratulations on the new home! I would love your advice! I just moved into a new home and painted the entire downstairs Believable Buff. My living room and kitchen flow together with no breaking point in the wall. I like the color in my kitchen, but I do not like it in my living room. My living room doesn’t get much light and it looks very dark in there. I was going for a more modern contemporary look. My couch is also a shade of brown so my whole room looks very brown on brown. Can you recommend a lighter shade for my living room? My trim is Dover White. Should I just do the whole room that color? And at what point do I stop between the living room and kitchen. I”m almost thinking of using the Believable Buff as an accent wall so that I don’t have to paint my kitchen. Help! Hi Jamie, I like your idea of leaving the Believable Buff as your accent wall since there is not a natural break into the Kitchen and then painting the rest of the Living Room the trim color, Dover White. I actually have been loving creamy whites on walls and it would definitely lighten things up. Try using some accent color on the Believable Buff wall in your Living Room in the form of artwork. Also, adding some color in your pillows on your brown sofa might help to break the brown up a bit. Best wishes! What is your opinion about sherwin williams eider white (http://www.sherwin-williams.com/homeowners/color/find-and-explore-colors/paint-colors-by-family/SW7014-eider-white/). I would like to create an scandinavian style interion, is it suitable? Thank you! Hi, thank you! I have personally never used Eider White, but I love all of the grays on that same paint chip. I would definitely get a sample to check it out in your space with your lighting. I seems that it would go well for your scandinavian style interior. If it’s too light, try one shade down, Repose Gray. You might be surprised at how much better the darker colors actually look once up on the walls! Best wishes to you. Thank you! This is the best site to help with paint selection! I love your favorites for each category. I think I will now go with Kilim Beige for my family room. Have tried and wasted money on several other colors that did not work. I’m so glad to help! I love Kilim Beige and I hope it turns out beautiful in your home. We are preparing our home to sell in the near future. I have read on several blogs that color is moving towards the gray tones so I’m keeping that in mind as we repaint our whole house. I have “Early American” minwax stained floors on all “public areas” of our home, built in bookcase in Great Room, as well as the kitchen cabinets. We have an open floor plan (Great Room/informal eating area/kitchen). I would like three coordinating colors that make these rooms warm and inviting (our home is nestled in the woods) with a bit of contrasting color moving from one room to the next. I am leaning towards SW “Accessible Beige” for the Great Room/upstairs hallway. I would like a contrasting color for the foyer/stairs/kitchen (all the same color). The dining room and “parlor” are separated by the foyer and would like to paint those another ‘green/gray” color (these two rooms have little natural lightening due to a wide front porch). What 3 contrasting, yet coordinating colors would you recommend, given the fact that the kitchen/stairs have the most wood concentration. I like the SW Essential Brochure which lists their popular grays and the “subtle look” (Accessible Beige, Ethereal Mood, Escape Gray) of the “Neutral Nuance” colors but I’m not sure if the colors listed on the “neutral nuance” will be too dark in my house. Hi there! I love Accessible Beige and I think it’s a perfect color to paint a home that you are preparing to sell. Based on what you told me about your home, I would try Comfort Gray for your blue/gray color in your Dining Room and Parlor area. Comfort Gray looks great next to Accessible Beige, and is still neutral enough to be a good option for resale. I would honestly consider using the Accessible Beige as your Foyer/Stairs/Kitchen color and then using Tony Taupe as an accent color for your Great Room. Since your Foyer/Stairs/Kitchen has the most wood concentration, I feel like Accessible Beige would be a better complement. Tony Taupe is a few shades darker than Accessible Beige and would look great as more of an accent color in your Great Room area. One more option for a neutral that has a bit of color is Svelte Sage. It’s more of a gray/green color and could be used instead of Comfort Gray. These are all “safe” neutrals that look great and would do well for selling your home in the near future. Best wishes! Great helpful blog! We decided on Kilim Beige for an open floor plan with white trim. Their is a little division between opening dining /den area and the kitchen and I am considering another color for kitchen area. Is there a color that will not clash with kilim beige but will also go with oak cabinets and stainless steel appliances. Also, beige tiles in kitchen with a grey grout and white trim on windows and doorway to backyard. Thinking of going with a gray color but a little scared to commit because I dont want it to clash with kilim beige. If not, I may just carry on the Kilim beige throughout. Thanks in advance! Hi Bird! Try Comfort Gray SW 6205. It looks great with Kilim Beige and is a gray/blue color. My Houston client has them both in her home and it looks really good. Sounds like it would go really well with what you have. Grab a sample and try it out! Best wishes! I just found your blog and would love your advice! I am at the final stages of my remodel and have blundered the paint color in my kitchen/living room. For a quick overview, I did cream cabinets with a mocha glaze with a glass subway tile in a green/gray called “Powder Puff”. My couches are a dark moss green and the hardwoods floors are darker/maple color. The house is fairly open with a room off to the left upon entry that I painted “Stillwater” from SW. LOVE it. It’s a dark teal with my dark furniture. My style is more traditional/classic. The entry/hallway to upstairs is the former house owners color which is a creamy tan (I can live with it). So I painted the living room/kitchen “Austere Gray” SW and it came out looking like a mint chocolate chip cookie exploded. It just looks to minty blue for some reason and isn’t giving me the contrast with the creamy cabinets/green-gray backsplash I think it needs. So I’m going to repaint and I think I should stick to a really neutral color to go with the teal/cream now in the front of the house (you can see all colors when your enter). I was looking at “Mega Griege” but don’t want it to come too dark. The Austere Gray came out way lighter than the chip though so with that logic I think I would be OK. I read somewhere that to play if safe, you should go with the middle paint chip (it will absorb the light and not look too light or too dark) in a fairly well naturally lit room (which it is). Any advice you have is welcome! Thank you so much!! Hi Lisa! Based on what you told me, I would definitely try Mega Greige or Anew Gray if you want to go a bit lighter. Grab samples to see how your lighting works with each. It sounds like Mega Greige will give you the contrast you want, without coming out looking greenish or bluish. It’s a very neutral “taupe” gray color that I think you will be very happy with! Best wishes! I would love your advice! The exterior of our home is a blonde brick with very little variation in color. The front of the house has four round arched windows which gives it a mediterranean look. Our new roof is called natural wood which has a variation of light browns and grays. We painted the trim and windows a color very similar to SW Anonymous and it looks nice with the roof. Our front door and sidelights match and have a diamond pattern gold glass (yuck). I would like to paint them a color and have been looking at Roycroft Copper Red. What are your thoughts? I value your opinion based on all of your advice. I love Roycroft Copper Red and based on what you’ve told me about your exterior, it sounds like it will go really well! It will complement and pop out against the light browns and grays of the roof and especially the blonde brick. I say go for it! I have black kitchen cabinets with a medium grey counters (with specs of black and white sparkles in the granite). The kitchen opens up into the living space with a 3/4 wall between the kitchen and living room. I’m planning planning to put down a medium chocolate brown laminate and had planned to use Accessible Beige on walls with Extra-White on trim and base throughout the entire house. Given that only the kitchen has the dark area, do you think this would be a wise move? Is there a better color for the walls that would still allow the rest of the home to pop? Hi there! I love Accessible Beige and it sounds like it will go really well with your selections. I feel like it’s still light enough that it will be a good contrast against the countertops, cabinets and flooring. Extra White trim will be a great contrast for the trim as well. I think Accessible Beige is a great overall neutral for the whole home. You can always use art, window treatments and other bold fabrics on furniture to be the “pop” that you need throughout. Best wishes! I hope you can give me some great advice as you’ve done for others. My home was previously painted by builder with SW Kilm Beige on ALL the trim, doors, and cabinets. The walls are SW Latte and office has built-in cabinets painted Hopsack. Basically, all colors from one SW strip card. Trying to paint the walls any other color seems to throw everything off kilter. I have actually considered re-painted all the trim, doors, and cabinets because Kilm Beige seems dark for a trim color and the whole home feels “dark.” I would love to use a color like Lattice or Mindful Gray as my floors are mostly a warm reddish brown and beige ceramic tile. A while back I did try SW Universal Kakai on the walls in one room but it looked odd with all the Kilm Beige trim. Can you help me please? Hi Dana! Hmm…I might consider re-painting your trim a lighter color. I personally love a crisp white trim. My favorite is Extra White. Pure White is a good one to try too! That would make it easier to use a color like Lattice or Mindful Gray without it fighting with the Kilim Beige. I really feel like it would make all the difference! Best of luck to you! Thinking of using universal kahki and quiver tan in open design home for main areas….cabinets and floors are medium brown tones….lots of natural light and latte appeared too golden…..any suggestions? Hi! If Latte felt too golden, try Balanced Beige. It’s a great warm neutral without feeling too golden or too gray. You might even try one shade darker, Tony Taupe if you have lots of natural light. Let me know if that one works out! It’s one of my all time favorites. I would love your advice! I just moved in to a new house and all walls and ceilings are painted in moderate white, extra white trim, expresso cabinet and wood floor. I don’t like the moderate white color at all and would prefer a gray vs beige. Is there an overall color I can use without repainting all the ceilings? The Lattice color is so beautiful, do you think it would work with moderate white ceilings? Any accents color you think it will work well? I like sea salt color for bathroom too. Can you please help? Any suggestions is greatly appreciated! Hi Jamie! I looked at Moderate White next to Lattice and it might go. Grab a sample to check…it’s so hard to tell on a paint chip sometimes without seeing it in your natural lighting. You probably don’t want to hear it, but I think you would be really happy if you re-painted your ceilings the same Extra White color as your trim! That is what I have on my ceiling and trim and I love it next to my Lattice walls. I also love Sea Salt and it would look great next to the Extra White!! Best of luck to you! I need your advice as I have been researching paint choices for 2 months. I am desiring to paint our foyer, living room and hallway. Our hardwood flooring and trim is honey oak and we have dark brown leather furniture. I have tried Killum Beige and Nomadic Desert but they are pulling too much yellow with our woodwork. I am considering Balanced Beige or can you suggest other options? It is a north room with plenty of natural sunlight as the foyer is on south side of house. Our coffee table, tv stand, and side tables are dark brown and a lot of our accessory pieces are gold? Any suggestions are greatly welcomed! Hi Janet! I would definitely try Balanced Beige if Nomadic Desert looked too yellow with woodwork. Balanced Beige is still warm without looking too yellow or too gray. It is truly one of my favorites! It also sounds like you have a lot of brown, so maybe pulling in some color on your walls will help brighten things up a bit. See my post on Favorite Accent Colors for some suggestions!! Best of luck! Thank you for this article. I painted Whole Wheat a few years ago and it turned so yellow on me. I hate it now. Looking more for a coffee with cream color. Will try you suggestions. Where are you located? Would love to pay you for a color consult! Hi! Some of my favorite “coffee with cream” colors are Latte or Tony Taupe. Try some samples of those and see how they look. I live in Austin, Texas! Hi Laura, we just painted our living/kitchen areas whole wheat and because of our coppery cabinets, it looks yellowish. Any thoughts on a ceiling color to cool things down? We’re painting that next and they are low..only 9 feet. I was thinking of Divine white. Hi Manda! If you are concerned with the ceilings looking too golden, then I would just go with more of a white vs a cream. This will definitely cool things down and I really love how a bright white ceiling looks, even against golden walls. Try Extra White or Pure White. If you want to do more of a white-cream, Creamy is less golden and would feel more white than yellowish. Put up some samples and see how it looks next to the Whole Wheat. Also, if you are really not loving the Whole Wheat, check out Macadamia or Kilim Beige. Still warm neutrals, but less golden. Let me know how things turn out! painting that room red would be too much of a sore thumb, since there wouldn’t be red anywhere else (then the tray ceiling the same graphite. Hi Cindy! Nomadic Desert is the shade lighter than Latte or Whole Wheat or Macadamia could work. They are all in the same warmer neutral family. Best way to tell is to put up a bunch of samples and see the paint color in your lighting. Warm Stone is a great “graphite” color for an accent wall, and you could definitely try out the red! Maybe you could do the accent wall in red instead so it isn’t as much? A few of my favorite “not too bright” reds are: Red Bay, Fireweed and Rookwood Dark Red. Let me know how it turns out and what you decide! believe. If I go with a color with more tan it seems to read green (I tried Stone Lion, but it looks green in our basement. Different light down there, but I was hoping to use the same color throughout — to simplify things). Nothing is simple when it comes to picking out paint colors, which is why your advice is so invaluable. I will let you know what I come up with. Thanks for the help! Hi Vicki! I love Antique White for a creamy cabinet color and it sounds like it will go really well with your granite color. My favorite dark brown accent wall color is Rookwood Dark Brown. Try Camelback for a golden-tan color, or possibly Latte or Basket Beige. I would grab some samples of each and see what looks best with your brown-tones that you currently have. Best of luck to you! Thanks so much. I went with Napery on the cabinets…more of a darker cream, basket beige for the walls. I love the antique white with the napery cabinets. Would Antique White work on the ceilings? divine white, Navajo, and alabaster are too white I love the Antique white but haven’t painted the ceiling because I don’t want to go to dark. Thanks for recommending the basket beige for my walls. Now I need help on the ceiling…. I LOVE this site! Your comments are so helpful! We are coming to the point in our building process that we need to choose paint colors. Upstairs gets plenty of light. Our furniture is brown leather with marble tables with golden undertones. I’m thinking Whole Wheat for the upstairs. The kitchen and FR are all one room. I’m hoping I don’t get a green tone with it. What color would you recommend for the lower level? It’s a walk out. Furniture is up in the air but I tend to stick to warm neutrals. Would Macadamia work? Or Basket Beige? Any help you can give me would be so appreciated! Oh..also..woodwork is white. Hi there! I’m building a house and they are asking for my 3 paint colors by Friday. I’m in panic mode… My “designer” said that Stone Lion is an amazing color. Sometimes I look at it and see beige, sometimes gray, sometimes pink. It’s making me crazy. What colors go with it or should I just change colors completely? I tried Stion Lion in my house and it turned out VERY green. I have a lot of natural Western light. I am no designer, but that is what my experience was. I have never used Stone Lion and it really depends on your lighting to how it turns out. Some of my tried and true favorite neutral colors are Kilim Beige, Balanced Beige and Anew Gray. I don’t think you can go wrong with any of those. Kilim Beige is warmer, Balanced Beige is somewhere in the middle and Anew Gray is more gray. It depends on what you prefer and your current color scheme. Grab some samples of each if you can and see what works best! I am trying to pick some nice warm neutrals for a new build with light wheat maple cabinets. Flooring, interior doors, and trim will also be light natural color, not painted. We are striving for a cabin feel. Woodsy setting. I am worried about Whole Wheat or Camelback not providing enough of a contrast, but I love the warm tones. I like the more neutral colors in the SW Global Spice brochure. The downstairs is open plan, few good breaks, except master bedroom, bath and laundry. Could have related color for stairway (which is only open at lower landing) and into upstairs hallway.I want to stay away from pinkish tones. Any suggestions? Forgot to say that in an uncharacteristically bold move, I have decided I would like to do a color match of Benjamin Moore Georgian Brick on both in and outside the three exterior doors: door to screened porch (mostly glass), mudroom door (half glass), and door to kitchen covered porch (half glass). The color is rather a reddish brownish orangish color. Yes, a warm color would go well with Kilim Beige! Try Fireweed, Rookwood Red or Spicey Hue for a pop of rust. Hoping you can help with orange oak floors and trim – if the walls are a greige and there are no other white fixtures in the room, should the trim be a true white, off white or creamy white to tone down the floors or neutralize them as much as possible? The budge doesn’t allow for restaining to a med brown that would be so much easier to work with! Thank you. I should clarify the trim is off white now (Alabaster?) not oak. My advice would be to go with a bright white on the trim. That way the focus is on the pop of the trim and the greige walls vs the orange oak floor. My favorite “bright white” is Extra White by SW. Best of luck to you! Thank you. That totally makes sense! The main part of our living area (including living, breakfast nook and kitchen) is painted Sherwin Williams Nomadic Desert. I’d like our formal dining room and entry to be a taupey-gray or a warmish gray. The rooms connect via archway and one room is visible from the other so the colors need to flow. Or would that just be tacky? Is this crazy to do essentially the reverse? What about antique white? The ceilings are high and Ai have a light travertine on the floor. No, it’s not crazy to do lighter walls and darker trim. I love that look! I would definitely try Divine White to lighten and freshen things up a bit. Antique White can look a bit more creamy, so I would try Divine White first (in samples). My hunch is that Divine White will work best to pop against the trim and to lighten things up. Let me know how it works! Hello! Love your posts, so much great information. We are redoing our kitchen and I have choen wood black in ceramic Sant’Agostino tile. It has a grey/black look to it. Cabinets will be painted Dover White. This room will be open to the living room which the walls are Latte, with an accent wall that is a beautiful deep red(not sure of the name). Hallways/bonus room off the kitchen and living room are Kilim Beige. My husband chose a Softened Green for the kitchen walls and it is Terrible!!! I feel we should extend the Latte maybe into the kitchen or what about Balanced Beige? I feel like we should stay neutral but do we use more the tans vs grey for the kitchen color. Not sure which way to go. HELP!! My suggestion would be to break up some of the beige and use a cooler gray neutral in the Kitchen, especially since your tile has hints of gray. Try a color like Requisite Gray or Anew Gray. Those cooler grays can work well with the warmer neutrals like Latte. Definitely get some samples and check out how they work in your space. Happy painting! New house with boring honey oak cabinets and trim everywhere. I love all shades of gray. Any suggestions? Lots of light in the kitchen. Counter is grayish. It’s currently white. I am not afraid of color so bold doesn’t bother me. When budget allows we will be replacing the white appliances too. I love grays too! One of my new favorite grays is Anew Gray. Repose Gray is another good one to try. I also love Lattice…if you can’t already tell from previous posts! It has more blue to it, but it works great as an overall neutral. Best of luck to you! Also, if you want more of a bold pop of gray, try something like Mega Greige or Proper Gray! I have an open floor plan and need advice on what color I should use to paint my 2 story foyer. The foyer leads directly to the kitchen/dining/great room and are all painted Sherwin Williams Camelback. The stairs are carpeted in a cool (hint of blue) gray so I’m looking for a color that will look good with the carpet and still flow well into the Camelback. A friend of mine suggested that I should use graige. Your advice would be greatly appreciated! My suggestion would be to use a blue-gray color that will work with Camelback and complement the carpeting on the stairs. Try a color like Conservative Gray. It’s still very neutral, but it would work well against the warmth of Camelback and coordinate with the carpet. Lattice actually might be another good one to try. It has a bit more blue to it than gray, but is still very neutral. Your house sounds beautiful! Based on what you told me in your post, I would try out Ancient Marble or Sea Salt. Maybe even Filmy Green. They are neutral colors, but would add some contrast and excitement against the beige walls. They would also accomplish the “spa” colors feel that you mentioned you liked, as well as pop against the white trim. Definitely grab some samples and try them out in your lighting. Blues and greens can be tricky. I just read all the previous comments and know that you can help me. We are trying to pick out a paint color for our south facing, vaulted living room. Currently it is a dark, forest green, which we have loved for many years but know it is time for a change. It is next to the foyer (Nomadic Desert 6107), dining room (Kilim Beige 6106 and Nomadic Desert), and family room (Café Au Lait 8128) all Sherwin Williams. I have painted two large sections of the room with samples of Umber 6146 and Virtual Taupe 7039. I feel the Umber is too chocolate and the Taupe is too blah. Maybe something between those shades? Our furniture is traditional with cherry wood tables and an ivory camelback sofa. I would like an elegant formal feel for the room. We are considering Thatch Brown but could really use some other suggestions. Any help would be appreciated. Hi Michele! I have been thinking on your post and was wondering if you are open to more of a color vs. a taupe/gray neutral? It sounds like you have a lot taupe going on already in several other rooms. My suggestion would be to break it up with a color like Svelte Sage or Comfort Gray. I’m not sure what your color scheme is currently (ie. your textiles, like pillows, etc. ), but I love the look of Svelte Sage and Comfort Gray next to taupe neutrals like Nomadic Desert. They are also pretty neutral and would give a contrast without being too bold. I hope this helps! Let me know what you end up trying! I would definitely get some samples and see how they look, just like you mentioned you tried with the Umber and Virtual Taupe. Keep me posted! Thanks for looking back at our questions. I appreciate your insight and we are looking at some sage colors right now. It’s a direction I hadn’t thought of on my own so I am very grateful for your help with this. I’ll let you know what we decide. Thanks again! I have SW Portabello and am looking for something for the family room, foyer and hall which are an open floor plan concept. The kitchen is connected to the family room and only separated by a large rectangular opening. I’d like a taupe/greige but want to make sure it compliments the kitchen. Taunt taupe and mega greige caught my eye. What do you think? Thanks so much!! Hi Amanda! If you are looking for a taupe/greige neutral to compliment Portabello, my suggestion is to try Balanced Beige vs. Mega Greige. Did you mean, Tony Taupe? That is in the same family with Balanced Beige, so you are on the right track with that one! Balanced Beige is just a little bit lighter. As I always advise, get some samples to see how it works in your space. Let me know how it works out! Hi Sue! Your Kitchen sounds beautiful! Based on what you told me, I would consider painting the paneling above the fireplace and the ceiling beams the same color as the Kitchen cabinets and then leaving the other trim and the mantle stained. This will give you some contrast (especially with the paneling on the fireplace and the mantle) and the beams painted white will really open up the space and give it an updated look. Let me know what you decide or if you have a picture you can post, I would love to see it! Hi Michele! I just commented on both. I hope that helps! Have a great day! Hi, How about Kilim Beige with orangey oak cabinets? We tried Rice Grain but it is too ‘pasty’ green-tinged in our kitchen. Looking for a nice neutral without pink, yellow or green undertones..
Hmm…try Balanced Beige. It’s a great neutral that should help balance (no pun intended) the orange tones in the cabinets. I have a 100yr old home with a coral/salmon colored marble fireplace in the dining room. It receives very little light. Besides gray or dark brown, what neutral color can I use for the walls. The rug and chairs have patterns with rust. I’m looking for a neutral that will show off the fireplace.. Help. I would consider trying Balanced Beige as your neutral. It comes across as a taupe rather than a gray and it is definitely not dark brown. It would look great next to some coral and rust colors. One more to try is Kilim Beige. It is a little bit more beige, but is still really pretty. Let me know if either of those work out! Thank you for giving all this great advice, it’s so kind of you! I am converting a living room into a dining room. It’s off the kitchen, which is painted Revere Pewter and I don’t like it against my honey/golden oak cabinets. I have golden oak trim throughout the house. Looking for a color to paint both rooms that compliments oak trim and cabinets and my flooring in the dining room is a slightly deeper oak wood floor. I tried 5 different grey/blues and green/blues and didn’t like any of them. I think it all needs something warmer, I just don’t know what that is and my husband is going crazy. 😉 Any recommendations would be so appreciated! Hmmm…try Anew Gray or Balanced Beige. Both are warmer, but are still in the “greige” family of paint colors. If you want something that has more of a blue tint to it, try Lattice, which is a gray-blue. I have some honey/golden wood flooring in my home and the Lattice helps to tone it down a bit. It also doesn’t come off feeling too cold. I have truly loved it in my own home for many years. Let me know if any of these work out for you! Hi Laura! Thanks so much for all your tips! They are invaluable to someone who doesnt have a designer eye! I am presently remodeling my whole house. We painted the basement universal khaki and it looks great. I am considering painting the main floor and upstairs hallways killim beige and my bedroom nomadic desert. I considered using softer tan but it really throws almost a lime green tinge in a lot of areas. My color palette tends to run with dark blues, burgundys and greens. Do you think killim beige is a good choice and have u ever used nomadic desert in a bedroom? Thanks for you help! Oh, yes definitely! I love Kilim Beige. I have a client who has it as her main color throughout the whole house. Her Kitchen is Nomadic Desert and it looks great. I would grab some samples and test them in your light, but I would say that they are some of my favorite neutrals! Have fun! I love your knowledge of the colors. We love our home but not the orangey maple kitchen cabinets that came with it. I painted the kitchen walls Tamarind but not so sure I like it especially in daylight. Would love to take the open floor plan house into more greige or gray colors but stumped with the kitchen. Plus the miles of crown, chair rail and wainscoting is nacre which I don’t want to paint at this time. Would love to hear what you suggest for the kitchen and a lighter accent color for halls etc. that would work with the cabinets and nacre trim. Thank you! Based on what you told me with your orangey-maple cabs and Nacre trim, I would try Balanced Beige as a light overall color or Anew Gray. I love Balanced Beige so much because it is a great taupe-gray color that is super neutral. I have had many client’s use this color and it has yet to disappoint. Anew Gray is another one that I love for an overall color. It is definitely more gray, so I think it just depends on your color scheme and if you prefer a more taupe-gray vs a true gray color. Both are beautiful and would look good next to Nacre. As far as the Kitchen goes, Tony Taupe and Mega Greige are two options. They are the next darkest shade from the lighter Balanced Beige and Anew Gray paint strips. The greige colors in the Kitchen should help to tone down the maple cabinets. Try these in some samples and let me know if any of them work out! Thank you soooo much for your recommendations!! You are awesome for helping color challenged me. Now I can’t wait until the snow clears so I can get some to try out! Thank you for the suggestions, will keep you posted! I am trying to help my son in his new older home. It is very small without a lot of light. He has chosed Kilim Beige or 1/2 lighter of Nomadic Desert for the main living area, hallway and one bedroom. He is looking for a golden tone for his small kitchen and dining area. We tried Ivoire, but it was too yellow. What would be a good gold neutral for a small room with not much light? Have you ever used SW Rain before in a bedroom? Thank you so much for your help, we are on number 22 of paint samples from Home Depot…. One of my favorite golden neutrals is Whole Wheat. It’s a beautiful warm neutral without coming across too yellow. Macadamia might be another good one to try. I haven’t used Rain in a bedroom before, but it looks beautiful and would definitely be a good one to try! 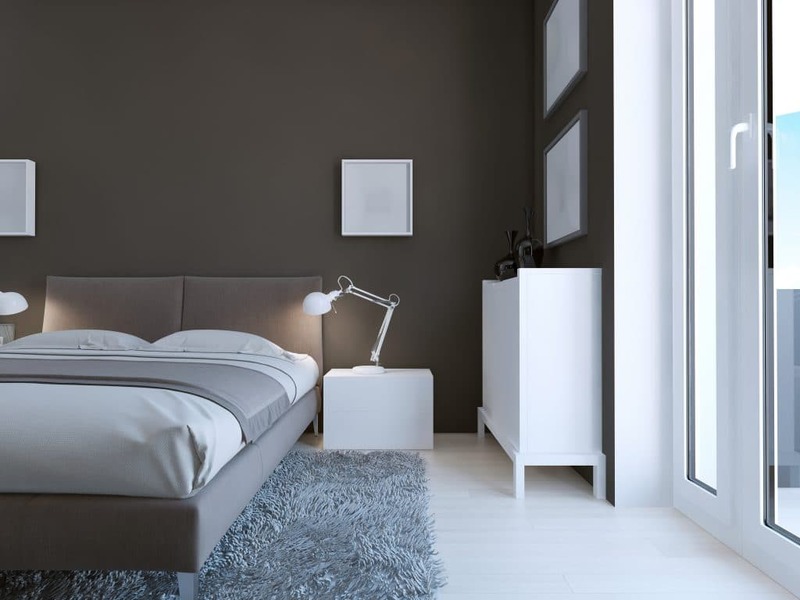 If it feels a bit dark, you could use it on the bed wall and then paint the rest of the walls a softer color in the same color family, like Tradewind or Topsail. Let me know if any of these work for you! Thank you so much for answering me! My son loved the Rain, and we tried Tradewind, but he likes the darker color. Fingers crossed that the colors we have chosen will work. Some of the neutral golds that we put on the poster board we loved, but once they went on the wall to test, they were NOT even close to what we wanted. Small house, not much light, and terrible texture on the walls…. He wants a strong gold, not a brown gold. So we will try Restrained Gold and see what it does in his galley kitchen and dining area. I just don’t want it to make those rooms seem even smaller than they are. How did Restrained Gold work out? Compatible Cream might be another one to try. It’s lighter and more gold, not brown gold. Best of luck to you! Hi Laura, like everyone else, I am really glad I found your helpful post! I was wondering if you had any experience with SW Worldly Gray? I am considering using it as the main neutral paint color in our new home build, which is a colonial with open floor plan. Worldly Gray looks pretty close to Agreeable Gray that you recommended, but WG is just a touch darker and more gray, I think. 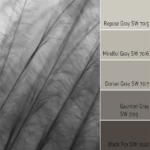 I am going to have some accent walls in Dovetail and doors in Black Fox (and a mix of other warm and cool tones from SW’s HGTV Liveable Luxe Color Collection), so I considered Repose Gray that’s on the same swatch card…but I’m worried RG might make our house feel cold. Any input would be greatly appreciated. Thank you. I’m so glad to help! I have not had a lot of experience with Worldly Gray, but it looks like a gorgeous color. You are right that Repose Gray is a bit cooler than Worldly Gray & Agreeable Gray. My suggestion would be to try a sample of Worldly Gray, Agreeable Gray and possibly Anew Gray (a shade darker than Agreeable Gray). Paint a big swatch on a piece of cardboard and look at the colors in all lights of day to see which looks best. All would look good next to Dovetail and Black Fox. Would love to hear what you decide! We are building a house right now and I am so confused about my colors!!! I have been reading all about undertones in different shades of beige and it is making sense for the most part EXCEPT when it comes time to pair it with my cabinets. They are natural cherry with black countertops. We had beige walls in a previous house with a slight pink undertone that we loved, but I don’t know if that will work with cherry! Can you help? Thanks!!! I would suggest using a neutral beige that is warm, but doesn’t have too much of a pinky undertone. Since your cabinets are cherry, the paint could potentially look more pink next to it. Balanced Beige is a great one to try since it is still warm, but has more of a taupe/gray undertone to it to offset the cherry cabinets nicely. If you want to go warmer with your beige, Whole Wheat or Macadamia are also good choices. Of course, lighting makes a huge impact, so definitely try some samples and see what looks good. Let me know if it works out! If you would like more detailed help, visit my Color Consultation for more information. am finally redoing our medium size master bedroom – ordered a beautiful cherry park bedroom set by kincaid – medium cherry. Struggling with paint – our walls are covered with all shades of greens and yellows. I think i realized today that the problem is i don’t want to compete with the furniture, i want the furniture to stand out. So – i’m back to thinking about a creamy white wall, interactive cream, navajo white? the floor is a neutural light tannish carpeting. I wanted to do either muted/ soft grey or blue bedding – and either soft grey/blue curtains or white curtains. Painter wanted to use a pure white to do the trim. any suggestions — starting from scratch with this new bedroom set.. the room has 2 windows but does not get a lot of direct light, mid-day is the brightest time in the room. Hi there! I am so happy I found your blog and this post! It is so helpful! I would like your advice on some paint color. I have an open concept two story home. My kitchen runs open into a dining area and living room with a formal dining and laundry off of the main area. I currently have all oak stained woodwork, doors and cabinets (stained SW Fruitwood) that I love. Currently my whole house is painted SW macadamia which I am very tired of. I like the warmth it gives to my house but I often feel like it is too yellow. After reading all the comments and looking up colors online I am drawn to balanced beige and warm stone. I’m looking for a couple colors that will work together for my main house downstairs and upstairs. My downstairs also gets tons of natural lights in the afternoon/evening and my furniture and flooring is also very light tan/neutral. Any suggestions would be much appreciated! I just got your email and would love to set up a paint consult! This information gives me a good starting point. I look forward to talking with you more soon! Thanks for getting in touch. Hi There, I love reading all your advise to the readers about your experience with Sherwin Williams different paint and appreciate your knowledge of what goes together and what looks best. I am a terrible judge of this and would love your opinion. I have antique white cabinets in my kitchen on the wall and coffee colored cabinet for the island with lighter granite countertop. I am in love with the color balanced beige and want to know your opinion on if you think the blue color Aleutian goes well with it and if it is too dark or not. I am building an open concept ranch and want to put a blue gray tone accent wall on the opposite wall from the kitchen and would love to hear your input. Thank you for all your help. Thank you, I’m happy to help! I also love Balanced Beige! Depending on your lighting, Aleutian could work just as an accent wall. It is a pretty strong color and might come out looking too dark in some spaces (again, depends on your lighting). A few other nice blue-grays are Mineral Deposit and Gris. Also, check out my page on the Color Wheel for more paint colors to pair with Balanced Beige. Let me know what you end up choosing or if I can help further! I have two days to choose a paint color for my beach condo. It is an interior condo with glass on the beachside and windows on the street side. My new furniture is Pottery Barn Turner (lighter leather). I have decided to do all rooms in the condo the same color except the two baths. I am currently torn between accesible beige, balanced beige and kilim beige. Thinking of sea salt in the baths. The problem is not being there to try samples. My colorblind husband is there to meet with the painter who starts on 4/14 and I have to give him the paint colors. Any suggestions on what will work best. I love accessible beige but you seem to like balanced beige. Hard to tell on paint chip. I don’t want anything too dark but I want a good contrast. Trim is white. Den, kitchen, dining and living room are all open. Bedrooms have good light. Oh man, I see your dilemma! I am a huge fan of Balanced Beige and I say go for it on all walls in your beach condo. Accessible Beige is just one notch lighter on the same paint card and I feel like with your white trim, Balanced Beige will be a better contrast. I also love Sea Salt and know that it looks good next to Balanced Beige. I think it would be perfect for the bathrooms! Best of luck to you and congratulations on your new condo. Send pictures once it’s painted if you get a chance! Thanks for your quick reply. I will definitely go with the balanced beige. Bad news this morning. The painter cancelled the job and now I have to find another painter. As soon as I can get one I will send photos. It may be late summer since I do have it rented until August. I love your blog. What finish to you recommend? Flat, satin, eggshell? My painter found a replacement and he starts tomorrow. Glad that you found a painter! I usually recommend a satin finish for interiors. I hope it all goes well! Hello, I really like latte color and want to paint all the walls in our home in it. I need help with an accent wall colors that will pop. Our dining room which has soft blue curtains and soft blue,green,white chair seat cushions. I was thinking of jamaica bay sw 6781 or freshwater sw 6774 for the accent wall in the dining area. Our home is a 2 story an open floor plan and all the walls connect in some way so I’m looking for it to flow but would also like to add some pops of color using accent walls throughout. Our media room has orange and white accessories and I would like to use an accent wall for it using maybe an orange matched with the latte. Any help would be greatly appreciated. I like the color Latte too! My only concern is that Latte can get a bit dark unless you have good lighting in your home. If you think your lighting (especially in places like hallways) could make Latte feel heavy, try using Nomadic Desert (a shade lighter on the paint chip) as your main overall color and use Latte in some rooms that aren’t necessarily connected to the main areas of the home. As far as the blues go, it’s hard to say exactly without seeing the blue tones of your curtains and cushions, but I would suggest Tempe Star or Refuge as an accent wall to give some contrast with the soft blue on the curtains, while not being too bright. Again, it’s really hard to say, not being able to see your current blue shades, but those two would look good with Nomadic Desert/Latte. For your Media Room, try Pennywise for more of a “burnt orange” look paired with the Latte. Is this a Longhorn theme Media Room or is your orange more bright? Truepenny is another good orange to try. Definitely grab some samples of these and test them out first. If you would like further help so I can get a better visual, visit my Color Consultation for more information. Thanks so much! After your comment about Aleution maybe being a little dark, I am thinking of painting with Perfect Beige instead and I do not see any comments on this color, paired with a lighter gray/ blue. I was thinking of pairing it up with Jubilee or Krypton, what is your advise on using the beige and using the other as an accent wall in an open Great room with a coffee colored island and antique white cabinets with a gray inlay, in a room with plenty of natural light. I also an considering accent of Rare Gray. Any thoughts? PS, why no write up on Perfect Geige or Versatile Gray? I am working on completing the Perfect Greige and Versatile Gray pages and will have them up in the next few days. 🙂 I love the thought of pairing either one of them up with Krypton or Jubilee. Based on what you told me, it sounds like it will go well. Rare Gray is definitely more gray, so if you were wanting more of a blue accent walls, then I would stick to Krypton or Jubilee. Also, please feel free to visit my Color Consultation if you would like more information on getting detailed help. That way, I can view your space and give you a better judgement on what colors would be best to use. Let me know what you think! Thanks! I have updated Perfect Greige and Versatile Gray. Let me know if you have any questions! I’m looking to clean up/ freshen up my living room, stairwell, and upstairs hallway that are currently painted SW Ramie (I’m getting sick of it!). I think what I don’t like is the mustard/ greenish undertones a couple of the walls take on, depending on lighting. However, I also have SW Rice Grain on the living room fireplace and on the crown molding in the living room and dining room (next color up on the color strip). Also, the dining room walls are painted SW Sawdust (next color down on the color strip). Then, as SW Ramie flows up my stairs and through the hallway, my daughter’s room is painted SW Rice Grain, and looks pretty Ramie as her room doesn’t get too much natural light. (Wow, ten years ago I must have really liked that paint strip!! :) ..). I actually still like Rice Grain and Sawdust okay and – if possible – don’t want to change them (too much painting ..). I have an old house with warm, honey colored wood floors, lots of painted white wood work, and darkish oriental rugs (wines, blues, greens) with mostly a light camel color as the neutral color running through them and a darkish leather sofa and leather chair. Dining & living room furniture is mostly 1930s-ish mahogany. The other color I possibly need to factor in is my SW Languid Blue and SW Sleepy Blue kitchen and side entryway, although the kitchen is smallish, w/ mostly white cabinets w/ charcoal colored countertops. I would love to do something in the gray family! However, I am thinking that something like SW Kiliam or SW Believable Buff would be an easier switch w/ the rest of my stuff & adjoining wall colors, like the Sawdust dining room and Rice Grain bedroom. Any ideas for me? I am loving the sample of SW Anew Gray I put on the wall, but — maybe for another time & place? It’s looking slightly purple and I’m wondering if it’s making my rugs look a little dirty-ish, muddying the tan-ish color in my living room and dining room rugs a bit too. Could I do SW Anew Gray or does Kiliam or Believable Buff sound like a better fit? (By the way I have tried samples like Believeable Beige or Diverse Beige and they look peachy and don’t work). As for grays, i like Gray Anew because it’s not a plain, concrete looking [depressing] gray. We live in a cloudy climate. I understand your dilemma! My recommendation is to try Balanced Beige to coordinate with Rice Grain and Sawdust. Especially if you are wanting to go a bit more gray. It’s the perfect in between not-too-gray, not-too-beige color. Another one to try is Relaxed Khaki. I agree that Anew Gray is probably a bit too gray to coordinate with Rice Grain and Sawdust. Also, Kilim Beige and Believable Buff can get peachy in some lights or next to certain colors…which is what sounds like is happening. Test out Balanced Beige to see how it looks. It sounds like it will also coordinate well with your rugs and other colors in your home. Let me know what works out or if you would like more detailed help, I offer remote design consultations. Check out my Color Consultation for more information. Either way, I would love to know what you decide! Hello, I have recently bought a house which is painted in Nomai dessert. I feel this color too dark and making my family room look dull and dark. I would like to go to a very lighter wall paint. is Antique white aa good choice for walls? Yes, I think Antique White is gorgeous on walls and sounds like will really help lighten things up. Congratulations on your new house! Enjoy and let me know if you end up trying Antique White and how it works out. Thanks! I like divine white. I freshened up my house by replacing kilim beige walls with divine white but keeping the woodwork kilim beige. Very peaceful and “transitional”. Thanks so much for your suggestions! I am now thinking of probably going to go w/ Relaxed Khaki, or … go a total different direction w/ the gray idea … and trying a blueish gray like Comfort Gray, Front Porch, or Sea Salt. (I may get a sample container of one of these three just to see, before I rule out these shades). All seem like they would go nicely with the kitchen (Languid Blue), but I will probably stick with the Relaxed Khaki idea, as I believe they might clash with the SW Sawdust in the dining room — or have the two different green undertones competing with one another. The beige/greiges like Balanced Beige don’t seem to work too well with the various other tans I seem to have as background colors in other things. Yes, I would definitely recommend getting some samples first to see how it looks in your lighting and next to your current paint colors. From looking at the swatches, I think you could try the gray-blues to see how they look next to Sawdust. Let me know what ends up working out! Hello, Your blog is so helpful! I am considering SW Urban Putty for my living area. How does it compare with your favorites Accesible Beige and Kilim Beige? And what blue grays would compliment Urban Putty? Thank you!! I have not used Urban Putty before, but it definitely looks similar to Kilim Beige and Accessible Beige on the color swatches. Try a sample of each in your lighting and see what looks the best. Sherwin-Williams sells small samples that you can test out before you buy a big gallons worth of paint. A few gray-blues that would complement any of these colors well are, Comfort Gray, Oyster Bay, Aloof Gray and Sensible Hue. Also, if you go to my Color Wheel for Accessible Beige and Kilim Beige, you will find more colors to coordinate with. Let me know what you decide to go with! Hello, thank you so much for your posting, it is extremely helpful! We are trying to make a decision on our new construction, I’m going with Agreeable Gray 7029 on the wall, but I’m struggling about the color for trim, baseboard, door, wainscoting and coffer ceiling, should I go extra white 7006 or should I go creamier white, or any other recommendation you may have. I will have 10″ ceiling, and I’m putting in Mohawk Houston Hickory Shadow (gray) hardwood floor throughout the house, will that all go together? thanks a ton!!! Hi! My suggestion would be to go with Extra White. It will pop out nicely with Agreeable Gray and your gray hardwood floors. I have personally seen Extra White look so good with the lighter grays. A creamier white is not a terrible decision, It just won’t pop out as much and in my experience a true white is so fresh and modern and looks so good next to the gray colors. Let me know what you end up using! Oh I am sooo thankful to read your posts, and you are my last option as to what to do. My house faces North with my back door to the south. My trim is all honey oak trim throughout, and I have no intention of painting it white. I find it hard to find paint color scheme for the first level of the house that transition. My kitchen is cherry oak cabinets and black/grey granite countertops. I am hoping you can share with me colors that I could use to transition from one room to another. I want it to be neutral and I am also ok with accent wall colors. I want the house to be light but warm. Our dining room and living room furniture is oak as well, with brown and neutral color furniture. Your help would be so appreciated. I would love to help! There area ton of options for neutral paint colors, but until I really get a good feel for what you currently have, it’s hard to say! Some of my favorite warmer neutral colors are: Kilim Beige, Macadamia and Whole Wheat. By clicking on each color, it will take you to my Color Wheel where each color also has some complementary colors. 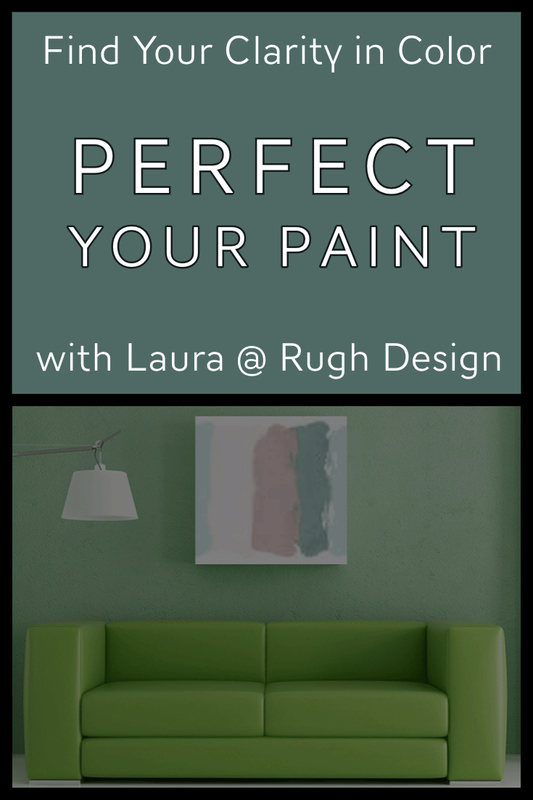 Are you open to a Remote Paint Consultation, so I can get a better idea of your space and what might work well? Check out my Color Consultation and let me know what you think! Thanks! Love your site. We are in the process of painting our entire home. We are going to paint the family room lattice. What color would you recommend for the dinner room. Are home has a lot of light and oak floors. Thank you! I LOVE Lattice and have it in my own home. Also, my floors are light oak, so I can absolutely relate to your space! Some colors to try for your Dining Room are: Gris, Mineral Deposit (for a blue-gray feel) or Mega Greige, Warm Stone (for a taupe feel). Dorian Gray would look nice as a gray accent too! All of these would compliment Lattice and your oak floors. Let me know what you decide or if you would like further help. There are lots of options and if you would like a Paint Consultation, visit my Color Consultation for more information! Love this site. Could you please recommend me color for my entire house. I have north east facing home so I get lots of light in my foyer. when you enter the house, right side is formal dinning and left is formal living area. you can see my family room and kitchen from the foyer after you cross the living and formal area.I have stone fire place( which has sage, yellow and purple tone) in the family room and brown sofa. 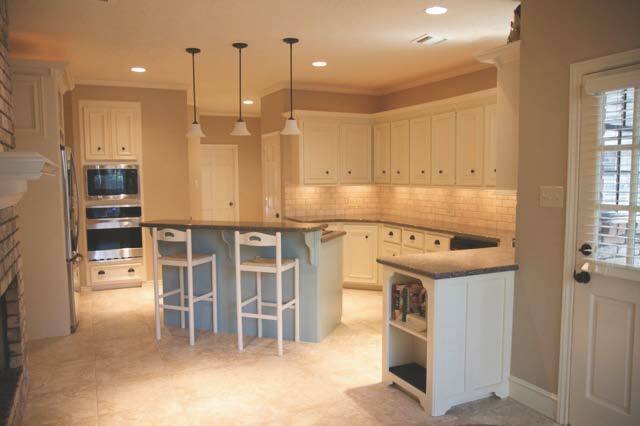 you can see my kitchen from the family room, it have golden oranges granite and medium brown cabinets. Behind family room i have sun room. you can see sun room as well from the foyer. my flooring is also medium to darker shades hardwood. Then I had the Sherwin-Williams color consultant come over to help me. She suggested I bring in a color (blue/green gray) from the adjacent living room. I tried SW Austere Gray which is a nice color with the wood and I love it in the dining room, but it’s just not working with the counter. Also tried SW Escape Gray which is better than Austere Gray, but not great. So I think I’m back to beige. I’m looking at Patience (SW7555), Lotus Pod (7572) and considering the color consultant’s suggestion of Sand Beach (7529). Any advice?? Sounds like you’ve had quite a time getting the color right in your new Kitchen! I know that can be frustrating and paint colors can look one way on the swatch and then “bait and switch” you once it’s up on the walls with your lighting. I looked up some images for Sahara Corian and also looked through the colors that you’ve tried. Taking all that into consideration, I would suggest trying Balanced Beige. It is the perfect “not too gray, not too beige” color and I think it will compliment the Corian color nicely. Grab a sample and try out a big swatch of it in several places to see how it looks in your lighting. This is my favorite go-to neutral that has worked for many, many clients of mine. Let me know if it works for you! Also, if you have further questions or would like more help, please let me know and we can set up a Color Consultation. Thank you! I am trying to pick one neutral paint color to flow through living room, dining room, and family rm. living room. Furniture is medium dark cherry throughout. Upholstery is bronze, some jewel tones, in living room and more brown, taupe in dining room, and family room. The problem is that I have some wood flooring that is aged honey oak. I want to tone down the gold in current paint but want to stay wth slightly warm but updated neutral. I am considering kilim beige or balanced beige. Diverse beige looks a bit pink. What are my paint options? Thanks! I am a huge fan of Balanced Beige and it sounds like it would go well with what you have and still give you an updated look. Kilim Beige would be another good one to try as well. One more to try out is Softer Tan. It’s a warm beige, but not too golden. Get a few samples and test out what looks best in your lighting. Let me know if you would like any further Color Consultation! This is a great blog but overwhelming too! I am struggling with paint colors. I have a 55+ townhouse with a two story great room. Looking to paint great room, all way, foyer stairs and loft. Many neighbors have done an accent wall. The remainder of the great room walls, foyer, hallway, stairs and loft are continuous and should be one color. I am trying to stay away from a color (red, rust, blues, teals, etc) but want something neutral but interesting. Someone suggested painting the accent wall down home which is on the darker side. Thoughts? I also am trying latte swatches on the accent wall with nomadic desert on all other walls – are these colors ok together? The only great room windows are at the back of the house and our back faces west. While down home looks ok in the light, I am concerned about it being too dark when the sun goes down. Thoughts or suggestions are welcome. I am trying to stay away from pinky beiges or yellow beiges. My dining room table is a honey color and the floors are cherry oak. Thanks! The anonymous post above is from me, I neglected to include my name and info. An additional comment on my paint dilemma is that I don’t wNt anything too gray either. A friend of mine has latte in her home and it almost looked green, is this possible?. I got your comments, thanks so much! I think Nomadic Desert is a great option for an all-over neutral color that is not too gray. Down Home looks like it would work well as an accent wall, but like you mentioned it will really depend on your space. I would suggest trying it in a large area and seeing how it looks in all lights of day before committing to it. Portabello is another good option to try. Latte is a great color, but if you want more of a contrast against the Nomadic Desert, then I would go a bit darker with the Down Home or Portabello. Let me know if you would like further help. I offer Color Consultation and would love to see your place and be able to help. Let me know! Thanks very much! I’ve looked at Portobello and it has more of a green tone (may not be green at all) than Down Home. My neighbor has Latte throughout part of her house and I didn’t love it. Thoughts on Hopsack for the accent wall and nomadic desert for all other walls? I was thinking if I really hated the hopsack or any other dark brown, I could have the one wall repainted with the same color used elsewhere. Was also looking at shaker beige. The crazy thing is that I love color – purple and teals especially yet I am going with very neutral paint colors. My sofa is fabric is Huntington House 61019-85 – the color is online. Hopsack would definitely work with Nomadic Desert! I looked up your sofa color and from the picture it looks like Nomadic Desert will coordinate well as an overall neutral color. If you keep the walls neutral, you can add color and accents (with the teal and purples that you love!) with pillows, blankets, art, etc. Let me know if you need further Color Consultation! 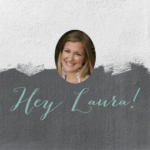 Hi Laura – thanks so much for your comments. How crazy is it to paint a two story wall with Hopsack or Down Home? I have been looking on Houzz and Pinterest for examples have not had a lot of luck. On a different subject, my master bath has “wheat” granite and walnut color cabinets. I want to do the master bedroom and master bath in a gray blue – will it be okay in the bathroom with “wheat” and walnut cabinets? The first photo under Taupe-Grays is Shale by Benjamin Moore. What SW color would you suggest that is most similar? I have to select my SW colors on Tuesday for our house that’s being built and would really love to add a similar color to the list. Thanks! Thank you for your comment! Balanced Beige is one that is similar to Shale. I use it all the time and it’s truly a perfect gray-taupe. Another one to try is Anew Gray. This is another one that I have been loving lately. Let me know what you end up choosing and let me know how I can Color Consultation further. Thanks! Still struggling with great room paint. Have tried various Browns, down home, mocha and hot cocoa. Hot cocoa has a lot of red undertones but looks rich. The mocha may be my favorite at this point, not as dark as down home and not red like hot cocoa. Would love your opinion. Regarding the other walls, I thought I had decided on nomadic desert but now threw in a few other options – balanced beige and diverse beige. These decisions are making me nutty! The more neutral walls extend from the great room, down a hall, up the steps and into the loft. So, it has to look good in all locations. I am looking for something warm but not too golden. Kilimanjaro beige is a bit lighter than I wanted as is accessible beige and realist beige. Thoughts? What if you tried Balanced Beige for your overall color and Virtual Taupe for your accent wall? Just a few thoughts! Also, if you would like to set up a remote design appointment, please let me know. It would be good to see your space and some pictures so I can be of more help to you. No pressure, just let me know! Here Color Consultation for my services page. Thank you for reaching out and I hope we can talk more soon! First, please forgive me for my delayed response! I am trying to catch all of my comments that I missed and I sincerely hope I can still help in some way. I might try Balanced Beige or even Pavilion Beige to go with Mocha (if that’s your favorite). These are both warm neutrals, without being too golden. Portabello is another rich darker brown to try if you decide against Mocha. Let me know if I can answer any more questions or if I can help any further. Thank you for reaching out! Hi Laura! What a helpful site! I am working on a new home and have to select one color to use throughout, and the contract specifies a flat paint (!) . Contract is one coat primer and one topcoat. Trim will be extra white. Am leaning to macadamia. I love the higher contrast of basket beige but am concerned that it could be too dark in interior rooms; at the same time want a depth of color so macadamia won’t look like primer coat “beige”. He wants to use Promar 400. Your thoughts? Thank you! Hi – I love your blog, however I am having the worst time trying to decide on a color. I have an very open concept. A lot of the architectural design is modern, however I like the cozy rustic feel. I’d like to somehow meet in the middle with a contemporary rustic. My wood is a honey oak (medium tone), floors have a read undertone and the counters are black granite with red undertones. My larger windows face the North with very limited natural lighting from the South. In the winter my house feels very cold. Do you have any suggestions on a wall color? I’d like to paint the open concept one color and have a smooth transition into the other rooms. Can you help? Thank you in advance!! Apparently I can not spell ***red undertones….not read. I would consider going with a warm neutral, especially since you mentioned your house feeling cold during the winter. Also, since you have some red undertones and a honey oak floor, I would suggest Whole Wheat or Macadamia for you as your overall neutral color. They are both warmer neutrals that will accomplish your goal of a cozy rustic feel. They are light enough that they won’t make the space feel dark, but will also give some contrast against your trim. For other rooms, I might consider adding a pop of red to accentuate the rustic feel and bring out the red tones that you have going on already. I really love Fireweed as a red accent for one wall or under a chair rail trim. If you want a neutral accent color (or second color for other rooms), I would try a shade up from Macadamia or Whole Wheat, Basket Beige or Camelback. I recommend grabbing some samples and checking all of these paint colors out in your lighting to see how it looks. One last thought is to try a soft warm green, like Softened Green as an accent. It would be really pretty in a bedroom or bathroom to add some color and would still coordinate well with your overall neutral color. Let me know how things work out and if you would like further help, please contact me on my Color Consultation. Thanks so much! Our family just relocated back to Seattle from an overseas assignment and while we wait on our container, we decided to get our house painted. We have man on the job BUT no colors decided! I am pressed on time and feel stressed since I have not found what I like. We have natural oak hardwood floors and similar colored cabinets. Home size is only 2100 sq feet. I love color and have collected some beautiful rugs and home accessories over the years. I plan to have all house (except bedrooms) painted with this color AND one more color to accent the staircase and fireplace wall. Tried sand dollar, reticence, kilim beige but they seem dark in this smaller home. Please suggest colors. Thank you. Really will appreciate your suggestion. I would suggest some lighter greige or gray colors such as Accessible Beige, Agreeable Gray or Repose Gray. Any of these colors will give you a nice neutral backdrop for more of your colorful accessories. Mega Greige would be a beautiful accent color if you want to continue to keep the walls neutral (vs. having a brighter color). Balanced Beige would be a better choice for an all-over color instead of an accent color since it is still pretty light and you will want more of a contrast against your wall color to make it worth painting (if that makes sense!). Let me know what you decide! If you still need help, I offer Color Consultation and would be happy to help in more detail if you would like. Thank you! Laura, will what do you think of balanced beige as an accent color. if it can be one possiblity, would will be nice as my original color? Laura, thanks for sharing great color information. We are planning on recoloring the exterior stucco finish on our entire home, which is 2 story and New England style with dentil molding, crown molding over windows and nice detail on colums. We are leaning to Dover White on body of house and we are looking for a trim color for colums, dentil molding and window facings. We do want to go with a Monochromatic scheme. We are getting new windows and they are a creamy white. What would you recommend for Trim color. By the way, our exterior doors would be black. Thanks. You are welcome! Dover White is a great choice for the main body of the home, especially since your windows are creamy white. If you are looking for a monochromatic scheme, I would suggest a nice medium tone griege or gray color, depending on what you prefer. Tony Taupe would be a great choice for the trim and other detail work if you like more of a taupe feel. If you lean more towards the grays, Dorian Gray or Mega Greige would be some great options to try. Any of these will coordinate well with your black exterior doors. Let me know what you decide! If you need further help, please let me know as I offer Color Consultation. Thanks so much! Thank goodness I found this site! It’s certainly helped me research many different options as I prepare to repaint my ‘new’ house. I plan on going with Kilum Beige throughout but want the master bedroom to have some color. It has a walk through bathroom so I’m concerned about the flow with the rest of the house. I was thinking of an accent wall of Peppercorn but don’t know what color to do the remaining walls – the color which would ultimately carry into the bathroom. I was thinking Oyster white but that might be too creamy. I also really like Pavestone, Thunder Grey and Manor House. Currently my baseboards and trim are honey oak but I plan on painting them white. Any suggestions? Thanks! Thank you so much for reaching out! I appreciate all of your detail on your home. I like the direction you are heading and the paint colors all sound like good choices. If you would like, I would love to help further by being able to talk with you more, view pictures and see your space through my Color Consultation. Let me know if you would like to set something up! Thanks so much! Please help! We are trying to choose a color for our foyer, living room, breakfast room & kitchen – these spaces are totally open to one another and there’s really no good break, so we want to paint them the same color. Our hardwoods run throughout and are a lighter golden color, but our fireplace is a tan/beige marble with mostly pink undertones (although there are some brown/tan specks in it as well). The mantle and surround is white. We also have a red Crate & Barrel couch with 2 dark brown leather chairs in the living room. The kitchen has St. Cecilia granite and cherry colored cabinets (although we’re likely going to be refinishing them in a creamy antique white color within the next year). We would like a nice neutral color that isn’t too light or too dark to paint all of these rooms. We’ve been considering Sherwin Williams Macadamia and Nomadic Desert, but I’m concerned the Macadamia may be too golden and the Nomadic Desert may be too pinkish. Thoughts? Or any other neutral color suggestions? Thank you! Also, I should mention that we have very high angular ceilings with a fair amount of natural light. Any suggestions on ceiling color would be appreciate as well. Thanks again! Thank you so much for reaching out! I appreciate all of your detail on your home. Balanced Beige might be one to try. It’s my favorite warm neutrals! If you would like, I would love to help further by being able to talk with you more, view pictures and see your space through my Color Consultation. Let me know if you would like to set something up! Thanks so much! Great post, thank you for sharing! I am wondering if you could lend your expertise – I’m conflicted about the ceiling colour! It’s a large, open living/dining room (good natural light until the afternoon) with average height ceilings. Walls are SW “perfect greige” with pure white crown moulding. What colour do you suggest for the ceiling? I want the crown moulding to pop and I definitely do not want to draw extra attention to the ceiling (hubby did the DIY thing). Any suggestions would be most welcome! Hello, I am thinking to paint my formal dining/living room Tony Taupe or Utterly Beige (currently paint Studio Taupe which has a very green undertone). I love Balanced Beige for the Den which has cherry floors/ dark cabinets and the window faces a porch (currently it’s painted wholewheat) would this be too dark? Would Windsor Greige work? What’s the main difference between Utterly Beige and Tony Taupe. I want to move towards taupes, without green undertone. Thank you for any advise! Hi!! Would you consider normadic desert in the tan family? Or do you think it has grey undertones? I’m just asking because we bought a house and the hallways were griege colors and I painted normadic desert over it but I don’t notice a huge difference! Nomadic Desert is a gorgeous color, but depending on your lighting it can come out looking different than what is on the paint swatch. I haven’t ever seen it have grey undertones and I would consider it more in the tan/coffee neutral family. That being said, your hallway might have lighting that makes it look a bit more on the greige side. If you are looking for a warmer neutral, try Whole Wheat or Camelback. If you would like further design help, visit my Color Consultation for more information. Thanks so much! I painted (am in the process of painting) my walls Nomadic Desert and love them. Wanting to go lighter on the ceiling. Someone suggested going 50% of the ND but the lady at the paint store said it may get too pink. Since you have worked with this color before I was hoping you could share your experience. Thanks for reaching out! It’s so hard to know exactly how colors will turn out since everyone’s lighting is different. If you were to go 50% for the ceilings, there is always a chance that your lighting will make it appear to be more pink, etc. I always suggest trying a small sample first to test it out before committing to a whole gallon. If you want more of a lighter beige color for the ceilings, I might try something like Navajo White or Crisp Linen. If you want to go more creamy (and make sure it doesn’t get too pink), I suggest trying Creamy or Neutral Ground. I have used Creamy on ceilings in combination with Nomadic Desert for a client of mine and it turned out beautiful! Let me know what you decide or if you need further help. Thanks again! I have finally decided on balanced beige for my living room/dining room open concept. We have a vertical tray ceiling in our living room and I’d like to accent that area. Dover white colored trim will be in the inset of the tray. Is there a color that you would suggest? I was thinking Van Dyke Brown to keep it in the same family, however maybe that’s too dark? … Side note, the man at Sherwin Williams suggested Black Fox?? So sorry for just now responding! I sincerely hope I can still help. Try Virtual Taupe as a possible ceiling tray color if Van Dyke Brown seems too dark. I think it will depend on your lighting, but I love Virtual Taupe as an accent to go with Balanced Beige. Let me know if I can answer any more questions or help further. Thanks for reaching out! Love these comments! I’m trying to find a good color for my bedroom. The furniture is dark cherrywood (not shiny). I do not have a lot of light in the bedroom. Someone from Sherwin Williams suggested a very light tan to make the room feel “fresh”, but it looks white and I hate it. My bathroom is painted sea salt. I like it, but it looks really blue, but I’m not going to re-paint it. There isn’t a lot of light in there either. I want my bedroom it to feel cozy. I love red accents and my bed has a creamy white comforter. The curtains are light and the lamp shades are cream. The doors are painted Kelley Moore antique white. I tried balanced beige on one wall and natural tan on another. The natural tan is way too light and the balanced beige I feel is too dark. But I like the tone of the balanced beige. Do you have any suggestions for a happy medium between the two. Can Sherwin Williams mix the two colors together to create a lighter balanced beige? Thanks for your help! First, please forgive me for my late reply on this! I am trying to catch up on comments that I missed. You can have SW custom mix an in between color for you! Accessible Beige is the lighter shade of Balanced Beige if you want to try that first. If it’s too light, see if they can custom mix you a color. The warmer tones in these colors will help to create the cozy feel that you are after. One more I might try if you liked the tone in Balanced Beige is Sandbar. Grab some samples and test them out first to see how they look in your lighting. Let me know if I can help further. I do offer remote color consultations! Thank you again for reaching out! I also tried sandbar, but it was also too light. That is the one I mixed with balanced beige to make a lighter shade of balanced beige. Is there another color that might accomplish my goal? Thanks! One more comment is my whole house is Whole Wheat. While I don’t mind it, it does look very yellow some times and I’m not a huge fan of that. But, it is cozy. I also what to find a color that will look good with it in my dining room. Again, I have red curtains and a dark cherry wood table. Not much light in there either. Thanks! I am trying to pick out colors for my family room and kitchen. It is a difficult process. All of our doors and trim are a light oak color. Our home is a tri-level and the family room is located in the level that is 4 feet underground so there is not a lot of natural light. It is approximately 12×24 with two sets of windows. I am considering Basket Beige but you seem to really like Balanced Beige. Do you have any thoughts on what color might be the best in this room? I do not want anything that has pink undertones. My biggest issue is the kitchen color. Again the cabinets and flooring are a light oak. I was leaning towards Whole Wheat but worry there might be too much yellow. You really seem to like Nomadic Desert but there have been a few comments about it looking pink. The current color is a light golden color and we think we would like to try something a little different. Your thoughts would be greatly appreciated. Thanks for reaching out! Basket Beige sounds like it might get a bit dark in your space, especially if you don’t have a ton of natural light. Softer Tan is two shades lighter and could work if you like the warmer neutrals. I would recommend trying a more taupe/gray neutral since you have light oak trim. I agree that Whole Wheat might make your space feel too yellow or golden. A taupe/gray color will off-set the trim color and help with that! I do love Balanced Beige as an option to try! Accessible Beige is one shade lighter if you try Balanced Beige and it feels too dark. Shitake or Loggia are two others I would try. Grab some samples and test them out in your lighting to see what might work. Please contact me if you would like further paint help. I do offer Color Consultation. Thanks again for reaching out! Nomadic Desert could definitely work with Grassland and Stone Lion! I would recommend trying a sample first to see how it looks in your lighting. Sometimes Nomadic Desert has been known to turn pinkish in certain spaces, but in others it turns out to be a lovely “coffee with cream” color. Another taupe/beige to try that would coordinate really well with Stone Lion in particular is Balanced Beige. This is admittingly one of my personal favorites because it seems to always work well in homes that I’ve tried it in. Let me know what you end up deciding! Also, please reach out if you would like to schedule a color consult for more in depth help. Thanks, Tanya! Hi! I’m currently painting our kitchen. 1990’s honey oak cabinets, which I don’t have budget to paint. We have stainless steel appliances and granite countertops (black, gray, peachy brown mix). I tried Kilim and it picks up the peach in the granite but I don’t like the pink undertone. I also tried Softer Tan, which is nice, but I’m wondering if there’s any other colors I should be trying. I really don’t want to go with blues or greens. I’m trying to find something that will tie the honey oak color with the countertop. I can’t tell if I should go grayer or more brown? Thanks! Thank you so much for reaching out! I suggest trying Balanced Beige or Bungalow Beige. They are still warm neutrals, but are less golden than other neutrals. I recommend Balanced Beige all the time since it is so versatile and tends to go well with warm and cool color schemes. Grab some samples and test out Balanced Beige and Bungalow Beige in your space and with your lighting. If you need to go lighter, Accessible Beige and China Doll are the coordinating colors for each. Let me know if I can help you further! I was wondering if you do color consultations on exterior brick homes? Yes, I can do color consultations on exteriors! Are you looking to paint the brick or just the wood siding to coordinate with the brick? My information regarding color consultations is found HERE. I would love to help and hope to hear from you soon! Thank you! Very informative post! I am looking for a neutral gray-green for my kitchen walls. We just painted the honey oak cabinets BM Chantilly lace and will be painting the trim that color as well. Countertops are oak butcher block. We first used BM Dill Weed on the walls but it’s too dark and too “green”. Living room is a Valspar taupe color and as it’s right next to the kitchen/DR it seems to clash with the green. So I’m looking for something more neutral but still with a touch of green. I’ve tried BM Gray Mirage but it looks too cool gray and SW Cargo Pants which is a possibility. Any others I should try? I’m scared to spend the money and end up unhappy with it again. :/ Thank you!! Thanks so much! I have several suggestions with a few of my favorite “neutral greens:” Contented, Softened Green and Svelte Sage (or Grassland for softer version of Svelte Sage). All of these are more gray-greens and should coordinate well with your cabinets and your Living Room color. Try some samples first to see how they look in your lighting and please feel free to contact me for a Color Consultation if you would like more further help. Thank you again for reaching out and have a great day! Hi. My kitchen is painted SW Garden Sage, which I love, it’s a medium olive shade. I will be painting the common (vaulted) wall with the living room Garden Sage too. I need a neutral paint color for the north facing living room that will complement the green, the neutral will be adjacent to it on both sides. I will carry the neutral through the living room, into the foyer, it will also be in the stairway going downstairs and the stairway going upstairs. I made a huge sample board of Accessible Beige. In my room it looks very gray, almost muddy. Is there a better choice? There is not a lot of natural light in this north facing room. Right now the living room is cream and caramel colored and I need to update the space. Thanks so much!! I would try Stucco or Oyster Bar for your neutral color. It will compliment Garden Sage nicely since it has a warmer undertone than Accessible Beige. It is also pretty light and should keep your space feeling open. Grab a sample and test it out on your sample board to see how it looks. If you are still having trouble, please feel free to contact me for a Color Consultation. I would love to help! Thank you for reaching out and have a great weekend! Hi. Thanks for checking in to see how it’s going. I currently have samples of SW Stucco and BM Manchester tan hanging on my wall. I think I really like the Stucco. I’ve been slow to commit, but the SW sale goes off on Sunday. My poster board is large, but it never looks like a whole wall does. I think it’s a good color. It’s warm and not too dark for my north facing space. This room really pulls gray, so a warm color, but not too warm like my old colors is important. My floors will be golden oak. I think with this neutral color, I could go with almost any color sofa/furniture. Thanks so much for the suggestion. I’ve had a hard time finding pictures/blogs with this color though. Thanks so much for commenting. I hope you got my email with a new suggestion! Have a great weekend! My new home is going to be painted sw moth wing throughout, builders choice. Wondering what colors would coordinate. I was hoping to have some darker accent walls in greys and blues. Cooler colors, but im not sure how that would look. Moth Wing is so pretty! I would try some blue-grays like Mineral Deposit, Gris and Homburg Gray for some nice accents to coordinate with it. If you are still having trouble, please feel free to reach out for a Color Consultation. I would love to help further! Thanks so much for reaching out! Our brand new home has Sherwin Williams Antique White on all cabinets and trim. The entire house has the wall color Turkish coffee. I would like to paint two of the bedrooms gray. I am wanting a gray that goes with the antique white. What would you suggest? I tried aggreable gray (not enough contrast) and mindful gray (too green) & grayish (too purple). Hoping you can help! Thanks for reaching out! Try Amazing Gray or even Intellectual Gray. That should be enough contrast, while not having any other undesirable undertones. Please let me know if you need further help. I offer Color Consultations with more in-depth services. Thanks again for commenting and have a great weekend! Oh, okay! You can still use the same colors and it actually might be even better since Aesthetic White has a touch of a gray undertone. Let me know if I can help further via a Color Consultation. Thanks so much! After reading your suggestions, I used Balanced Beige in my Home and we love it! It actually helped balance out the orangish color in my maple cabinets and oak floors very nicely too. Now I am trying to select a front door color to go with Sundew 7688 siding and white trim. Any suggestions? Thanks, Dawn! I look forward to hearing from you soon. Hi! We recently bought a midcentury modern with an atrium in the middle of the house so we get a ton of light during the day. I want a softer creamy peaceful neutral look. We tried Kilim Beige (too yellow), Balanced Beige (too dark), China Doll (during daytime it takes on an almost green hue), moderate white (very yellow during the day, but nice at night). Even switched it up and tried a brand other than Sherwin Williams: Benjamin Moore Revere Pewter (way too gray), and Behr Mesa Taupe (lightened 100%)- looks good at night, but pink tones during the day. I’m at a loss and my walls look like a rainbow! What color should I try next. I know how frustrating it can be to find the right color for your space! I would love to be able to help you through an Interior Color Consultation. I can view pictures of your space and we can even set up a FaceTime for me to take a virtual tour so that I can find the perfect color for your home. I have several other neutrals to try that might work better based on what you told me about the other paint colors. Let me know! Thanks for reaching out, Debbie! I really hope to hear from you soon. Hello! I am wanting to paint my kitchen but have no idea what color to do!! The cabinets are a maple and the flooring is a gunstock honey tones oak. The counter tops have gray hues.. I am thinking agreeable gray, repose or something along those lines. Any help would be much appreciated!! Agreeable Gray is a warmer neutral, while Repose Gray is a bit cooler and can have a blue undertone at times. I would get some samples to try, especially next to your countertops to see which gray coordinates better. I would love to find the perfect color for your kitchen through an Interior Color Consultation if you are interested. I can view pictures of your space and assess the undertones to select the right color. Thanks for reaching out, Amy! I hope to hear from you soon. Hello, I want to paint my dining room and kitchen, I have wood stained cabinets and hardwood floors dining room, peach/salmon tile kitchen, I was considering revere pewter, versatile gray or amazing gray, what are your thoughts? I can send you my painted boards? 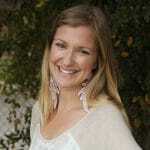 Please advice and I love your blog. Then you can send me pictures of your painted boards and I can narrow down the best choice. Thanks for reaching out! Thank you for reaching out! Honestly, it will be tricky to tone down the yellow if you keep the trim and go with a warmer wall color. The best way to keep the Kilim Beige trim and tone it down is to go with a gray that has a cooler undertone (blue or green). If you are open to changing the trim, the options are endless! But, that way you could go with a warmer greige/taupe color that you are leaning towards.